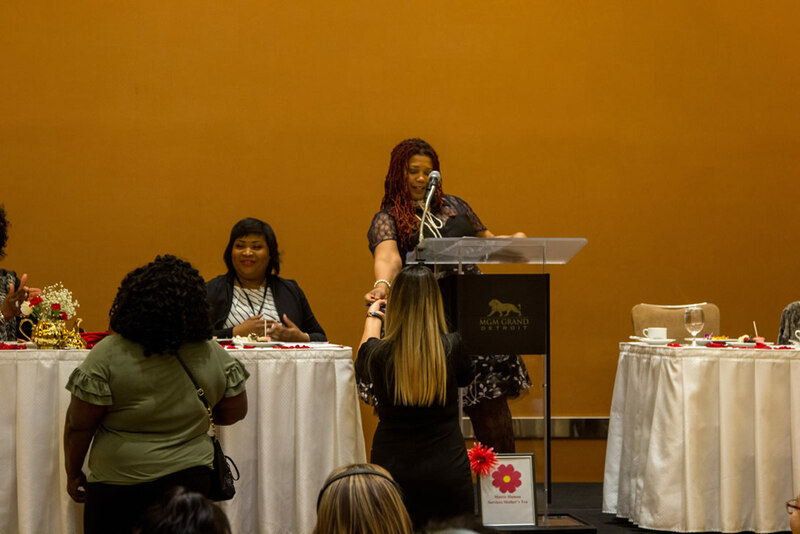 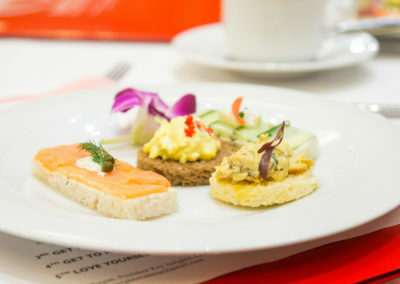 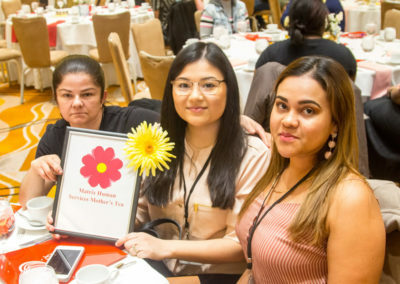 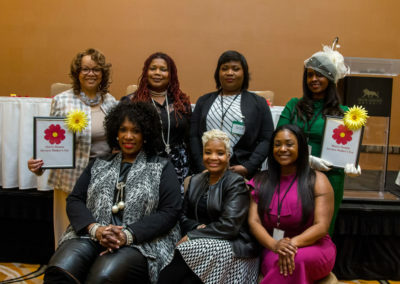 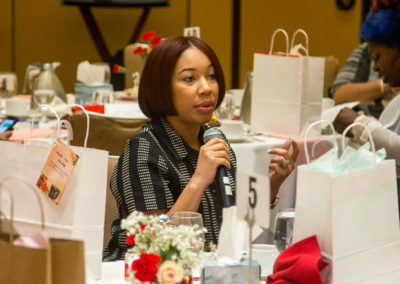 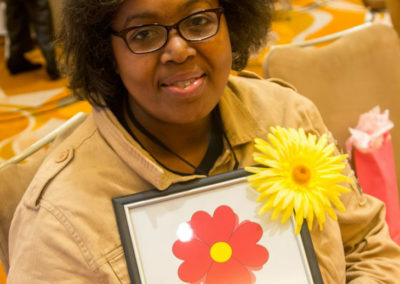 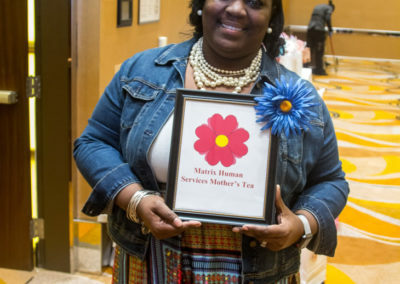 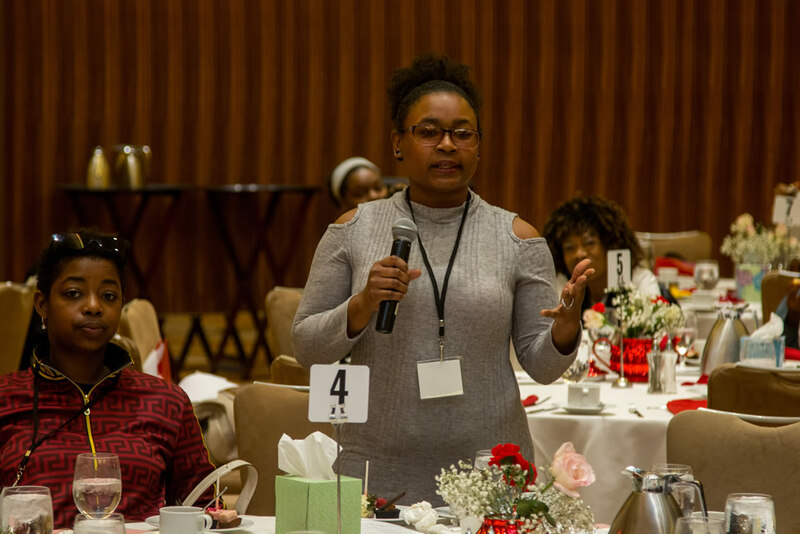 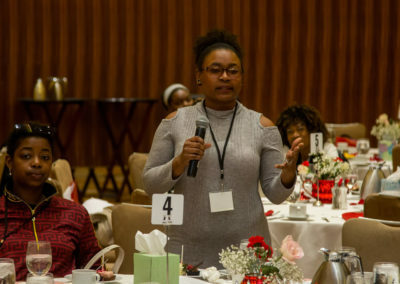 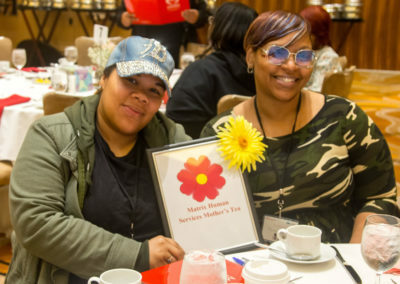 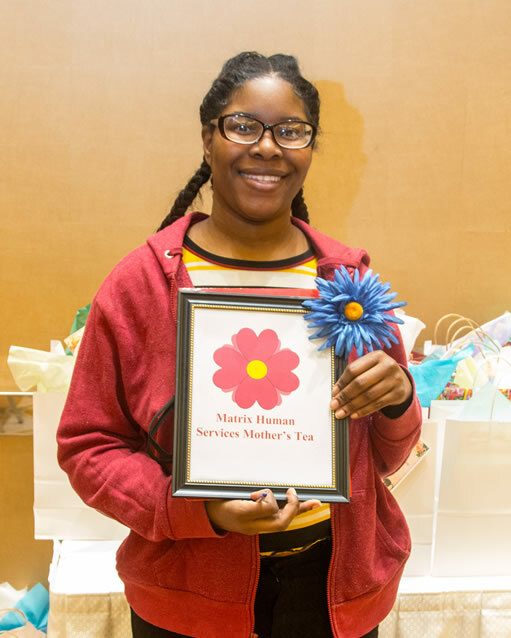 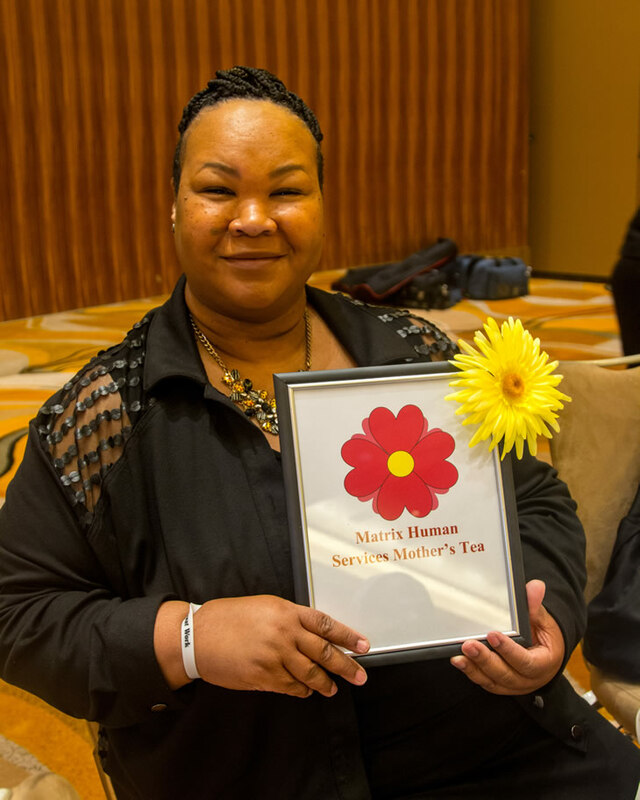 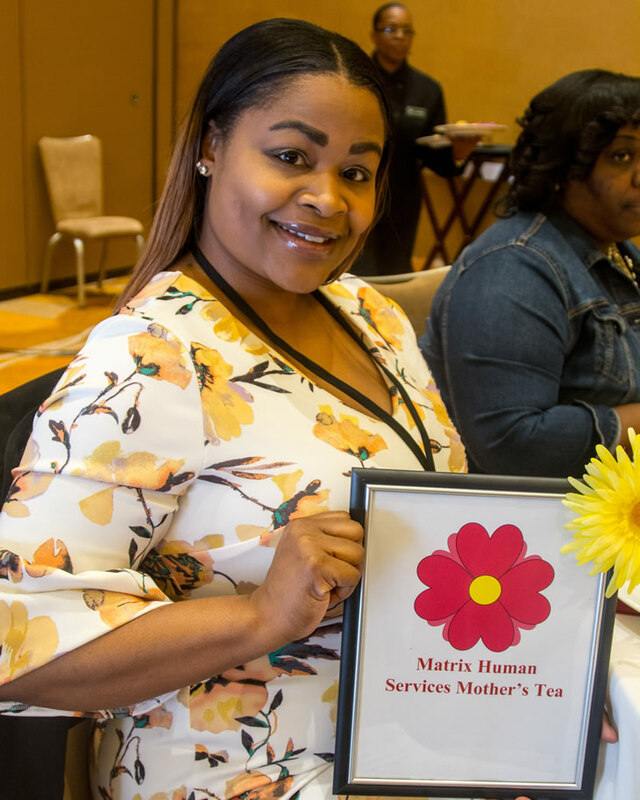 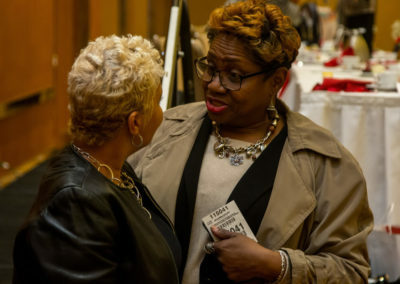 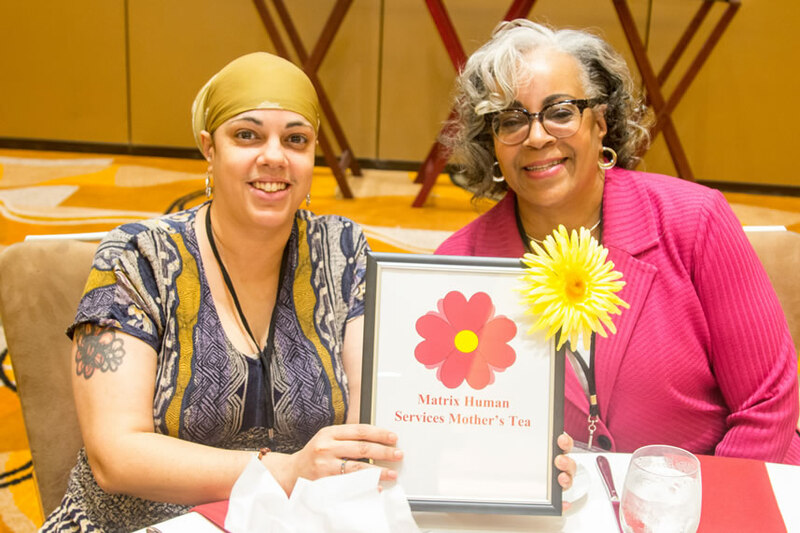 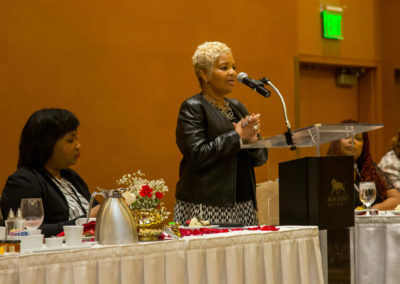 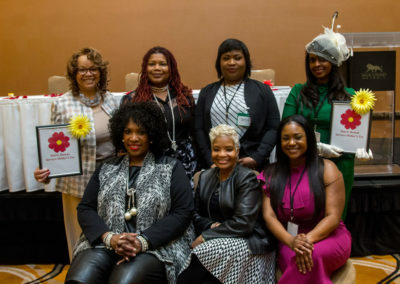 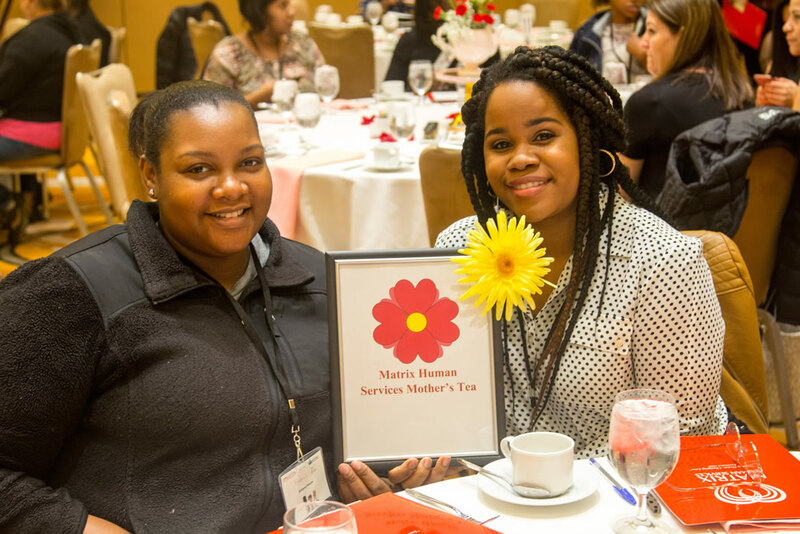 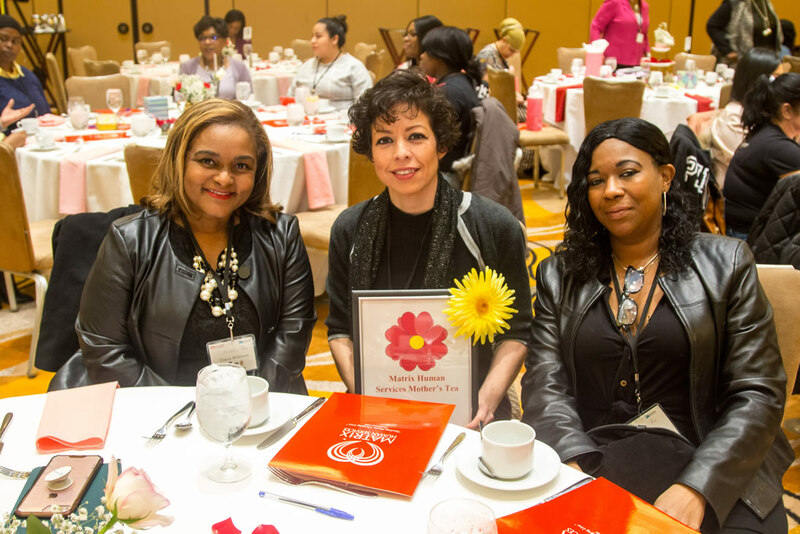 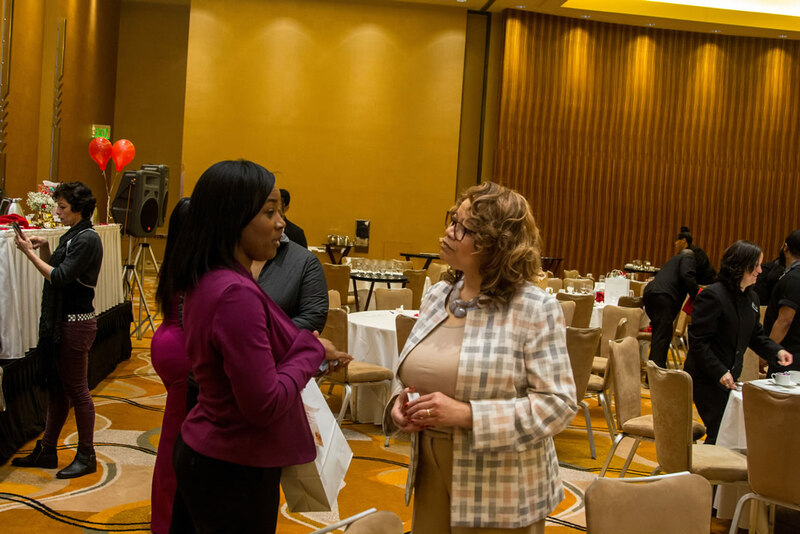 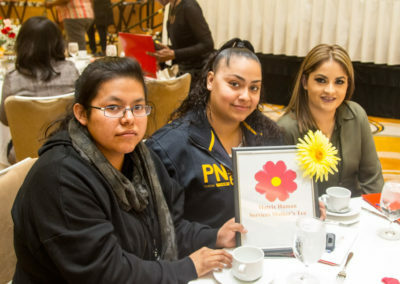 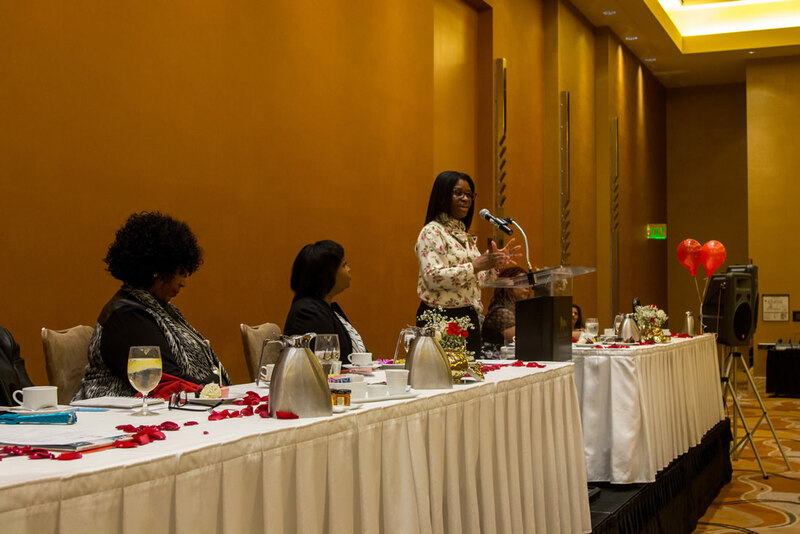 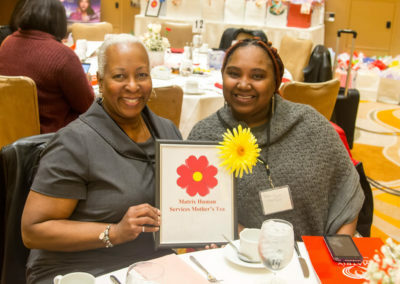 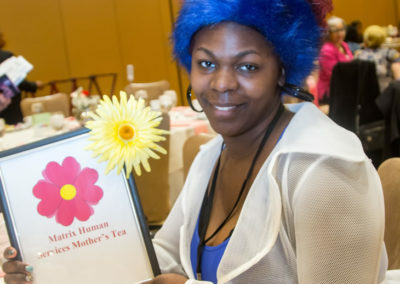 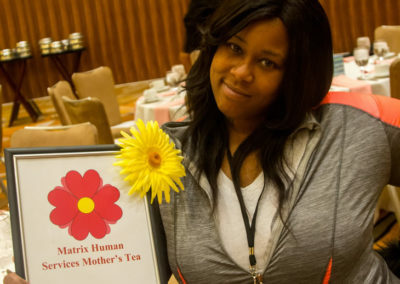 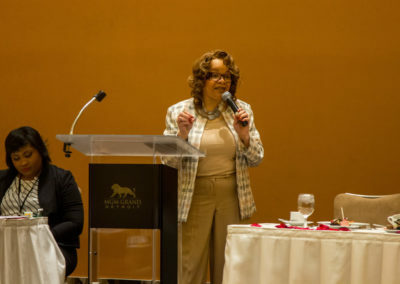 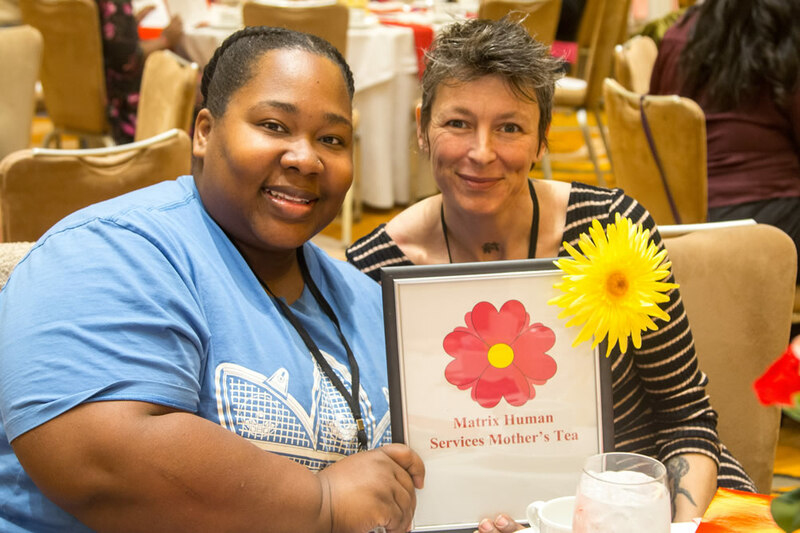 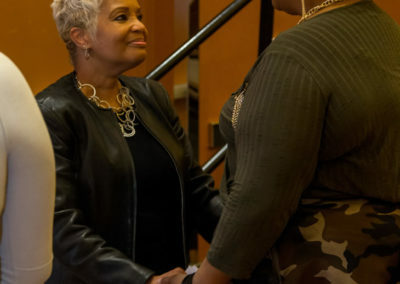 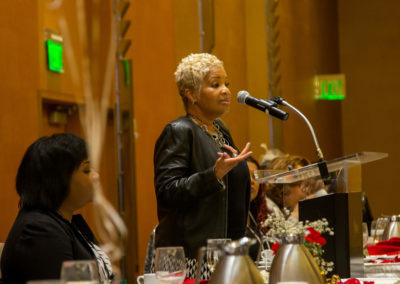 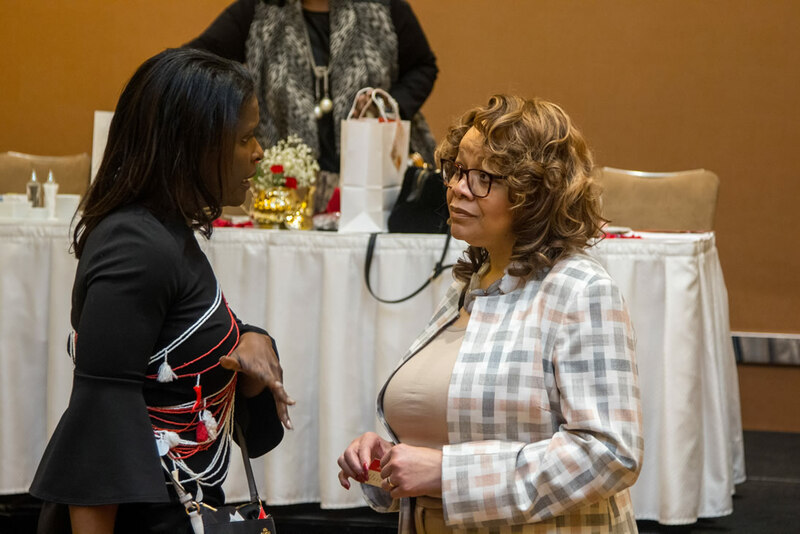 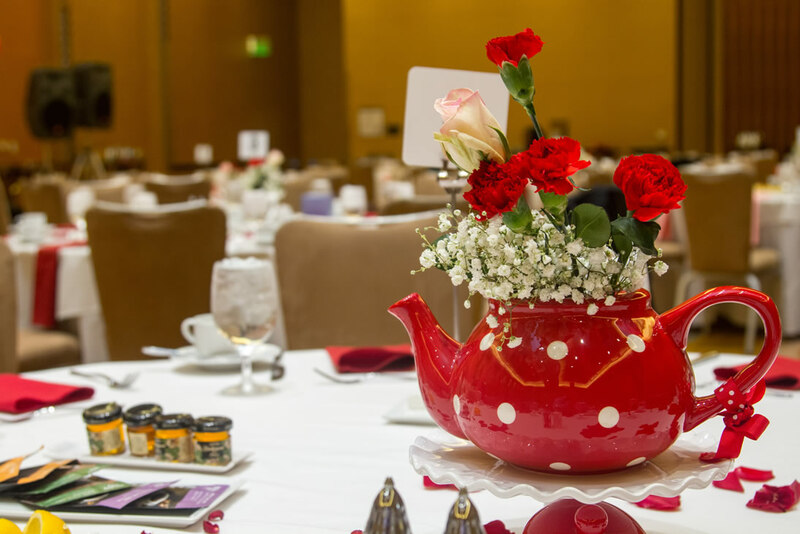 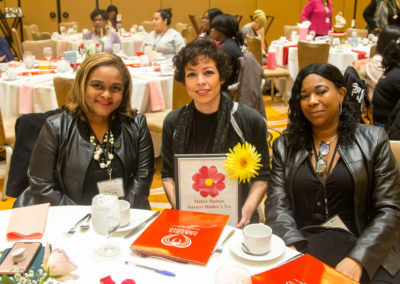 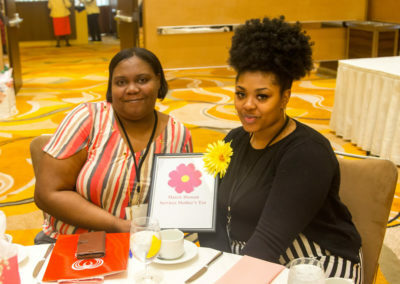 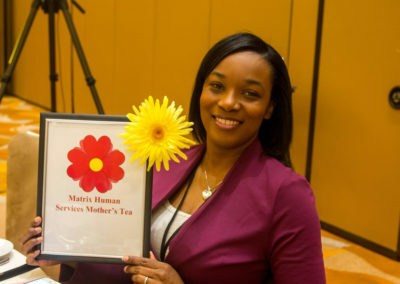 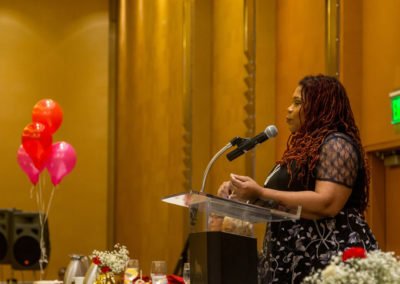 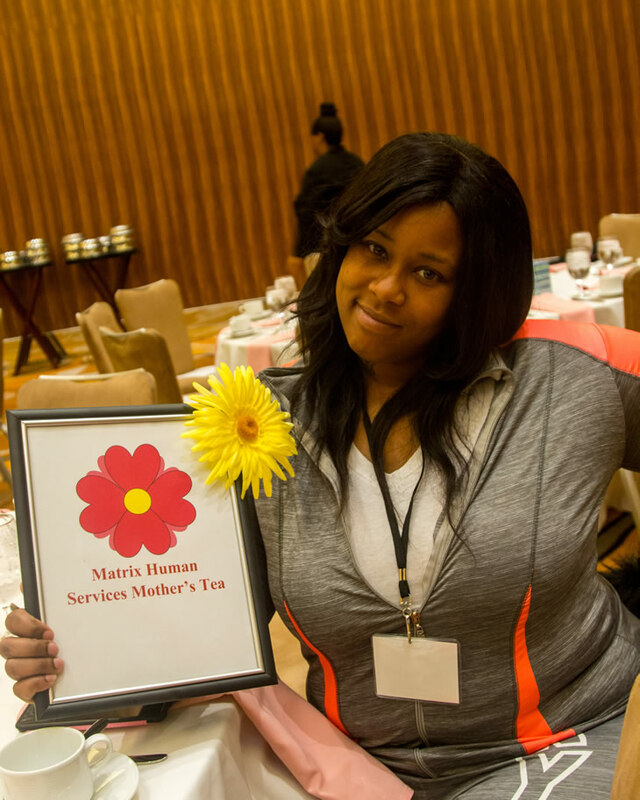 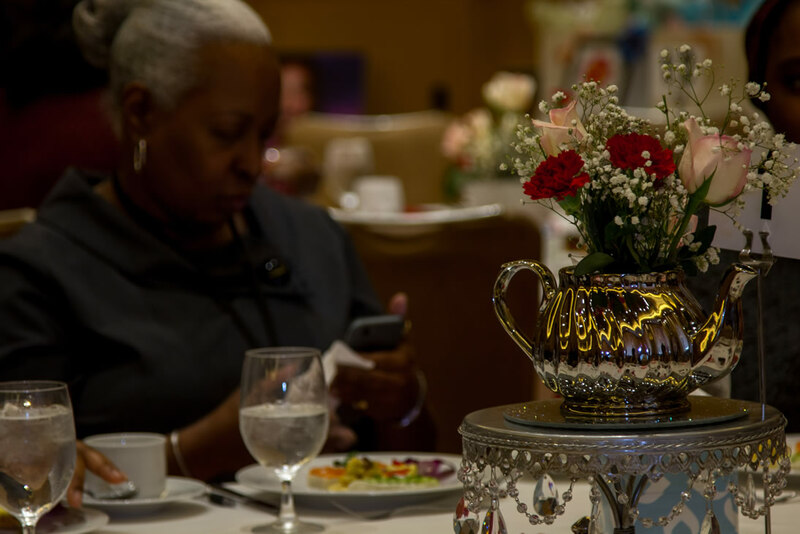 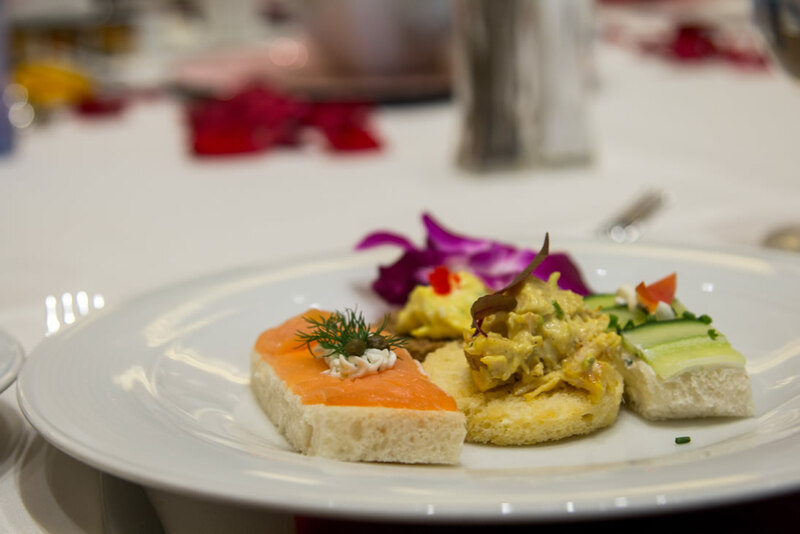 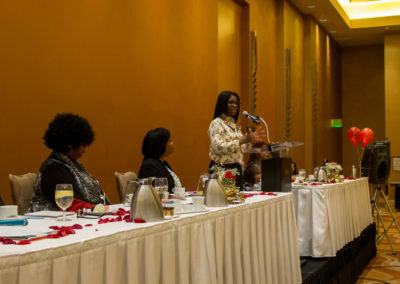 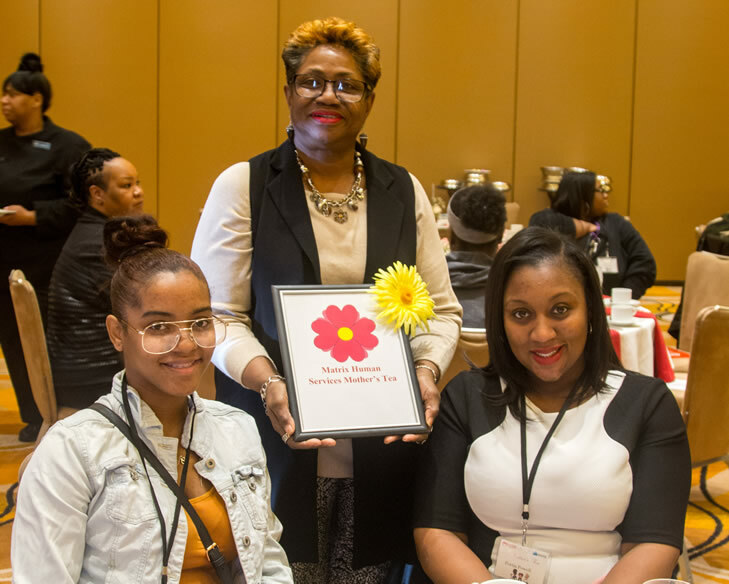 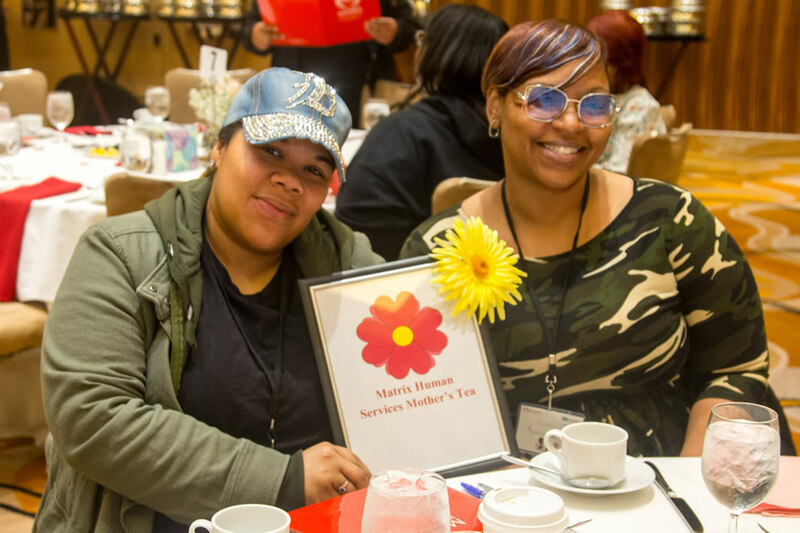 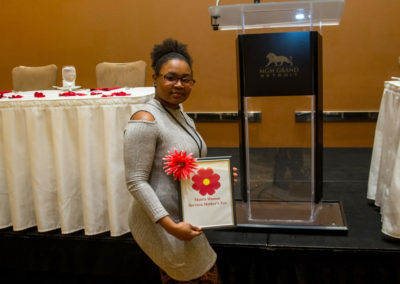 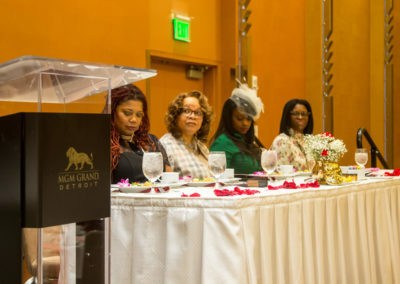 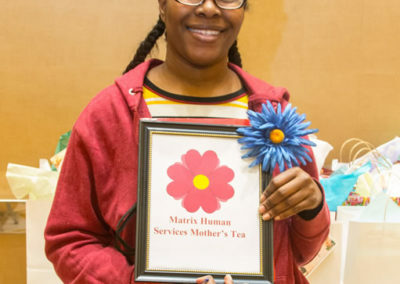 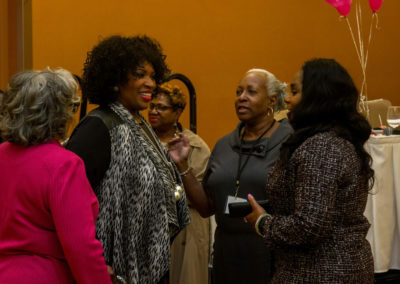 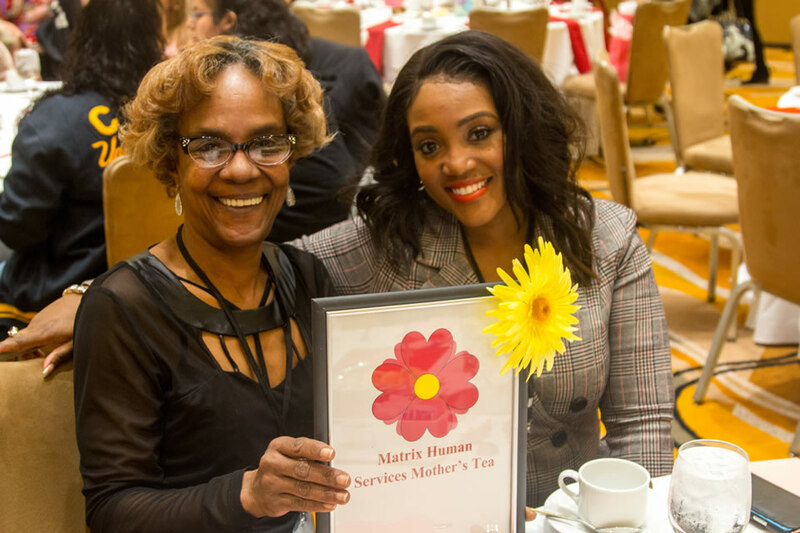 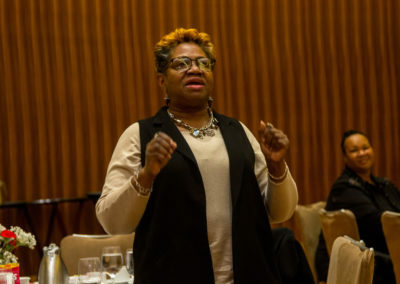 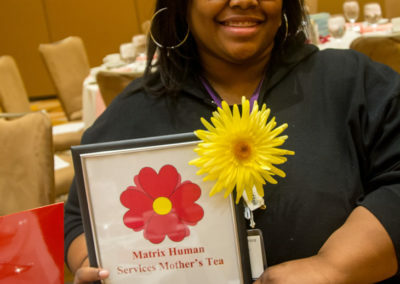 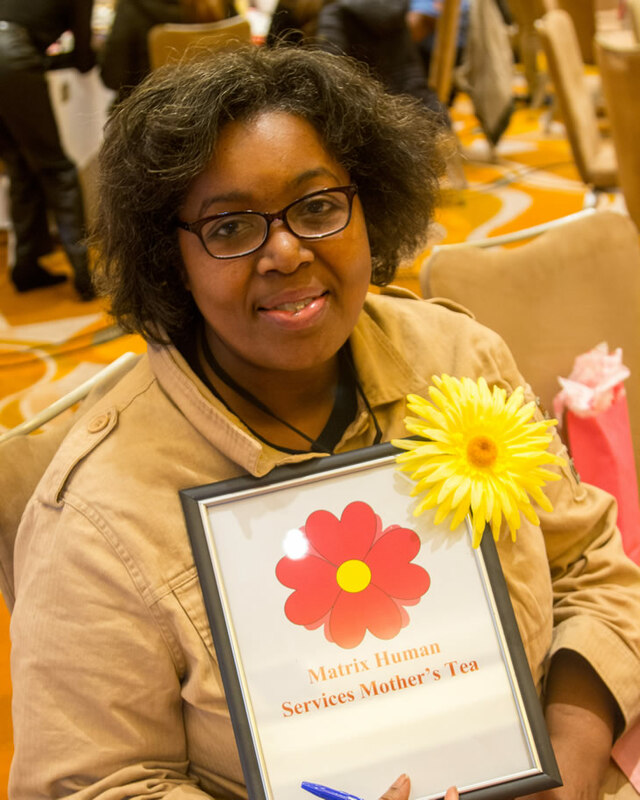 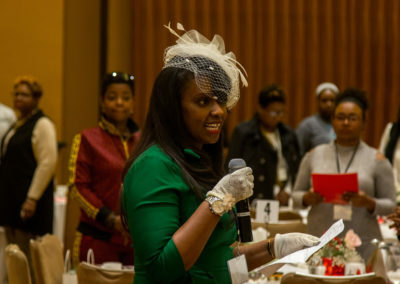 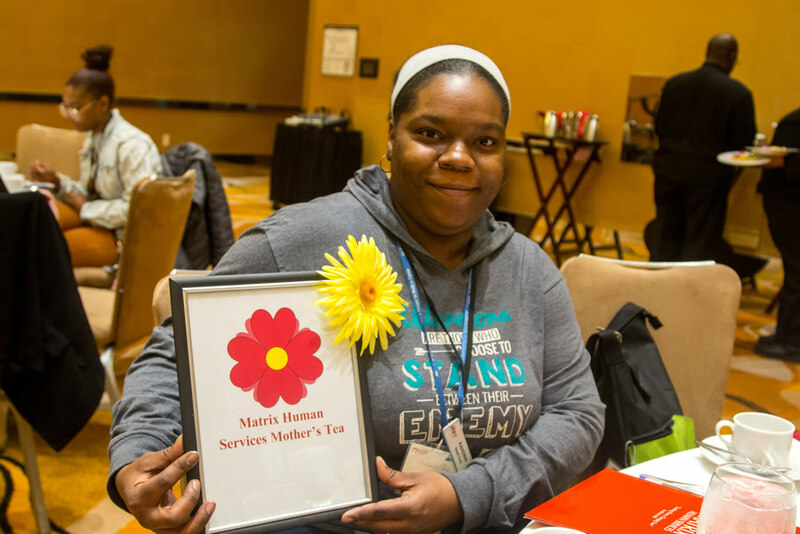 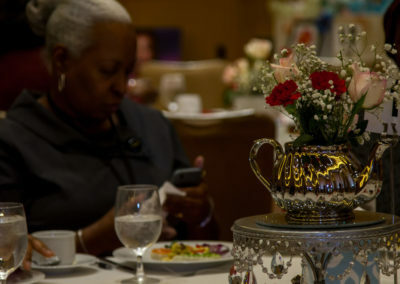 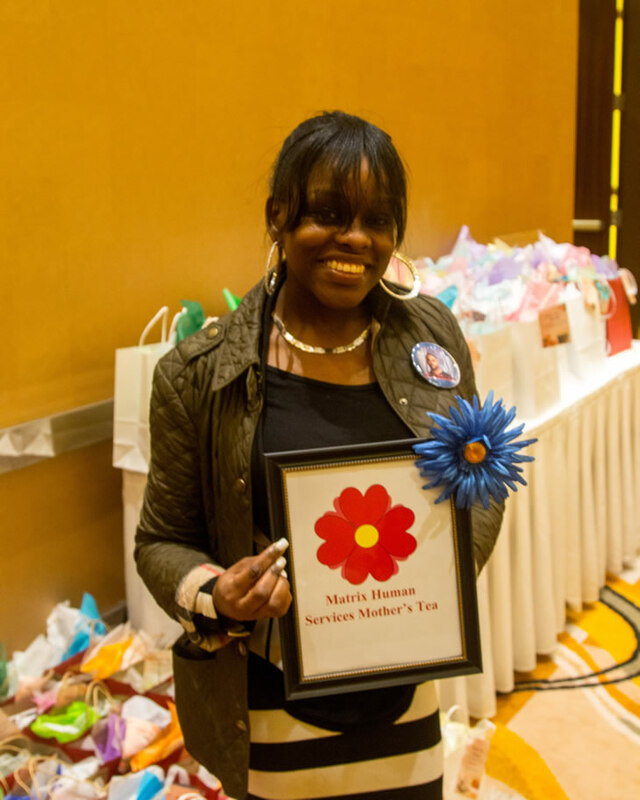 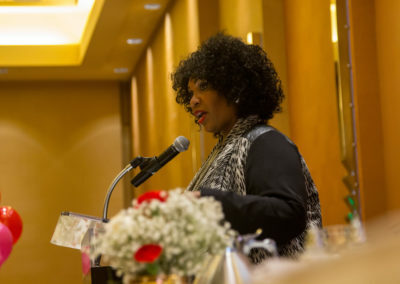 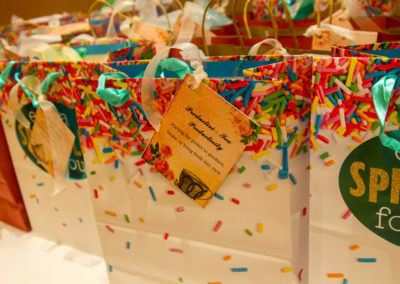 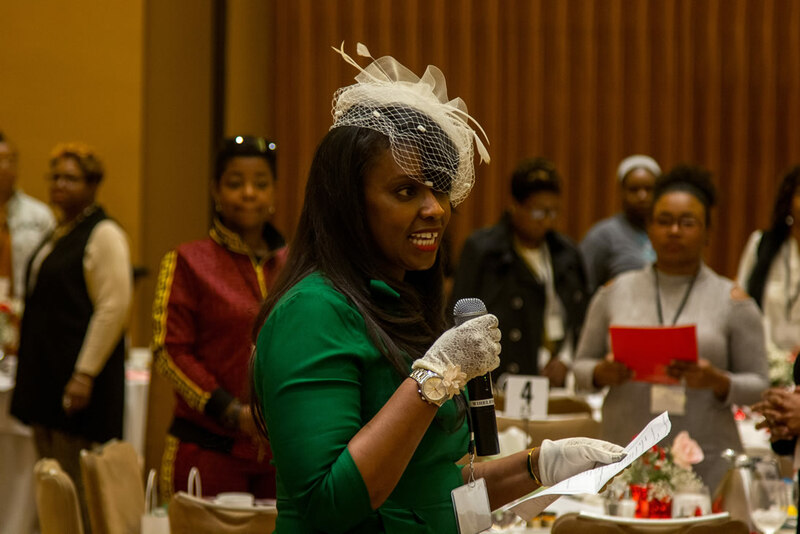 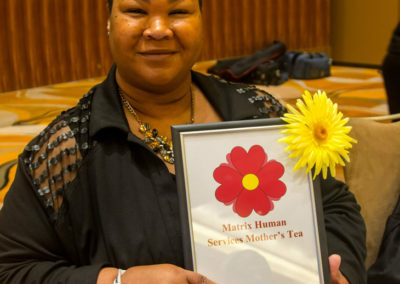 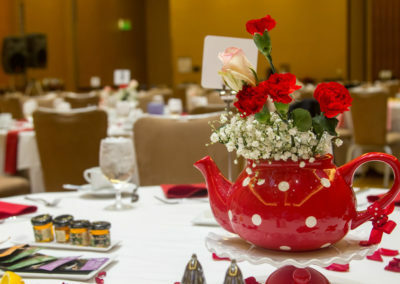 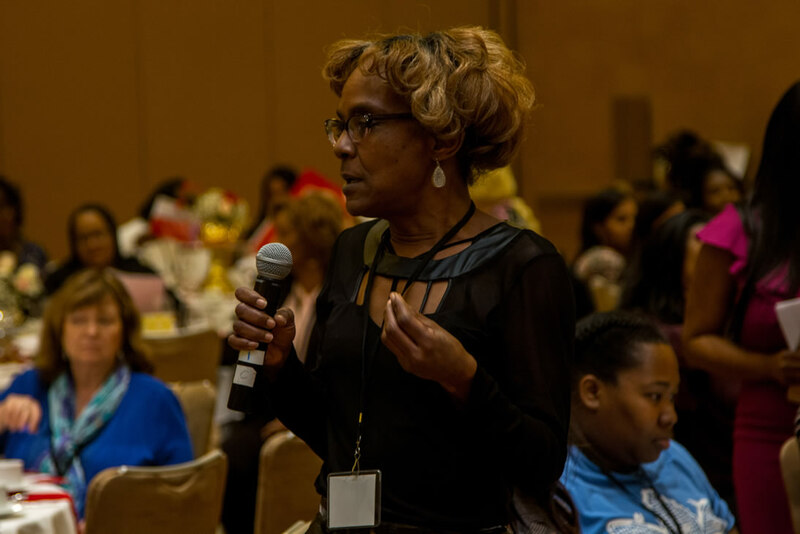 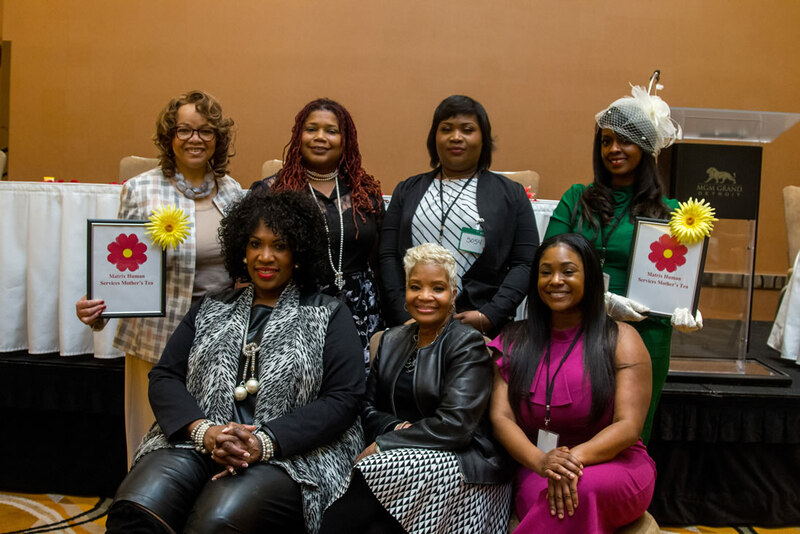 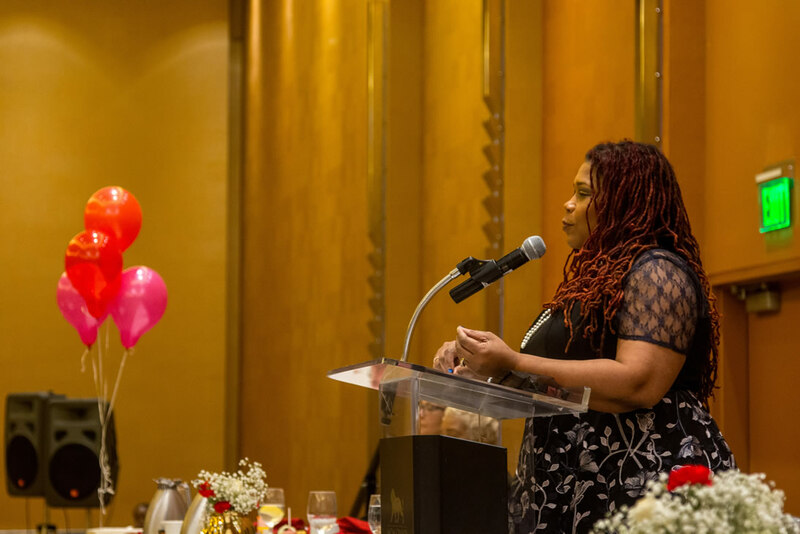 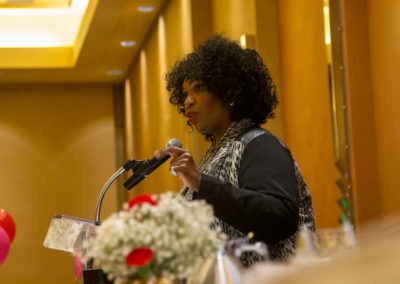 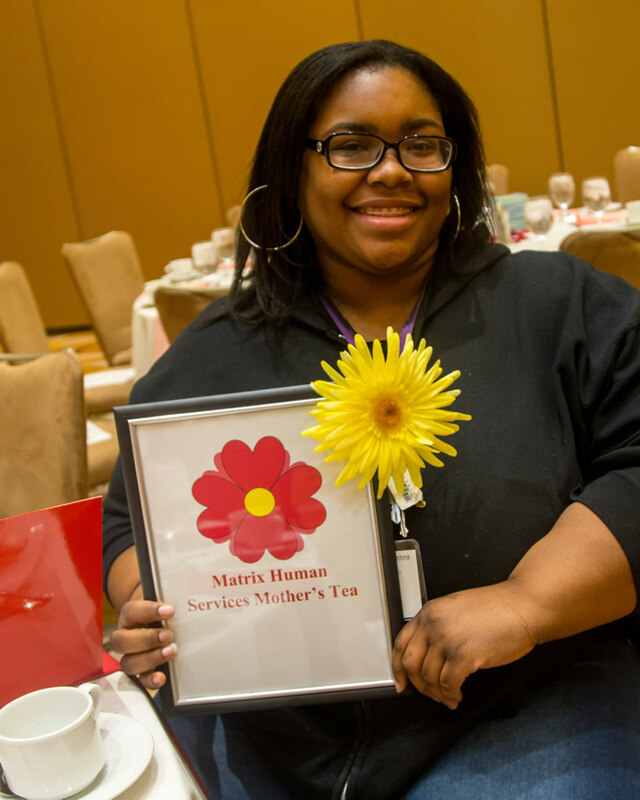 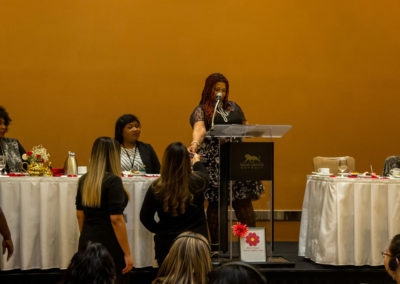 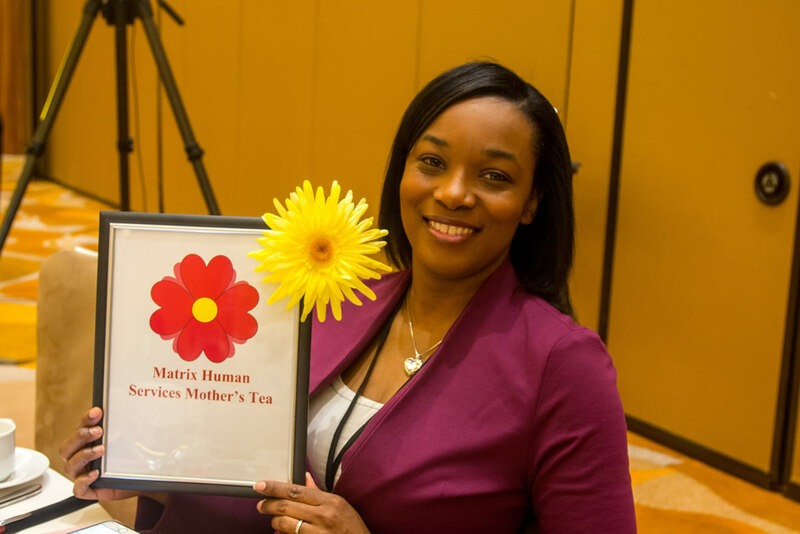 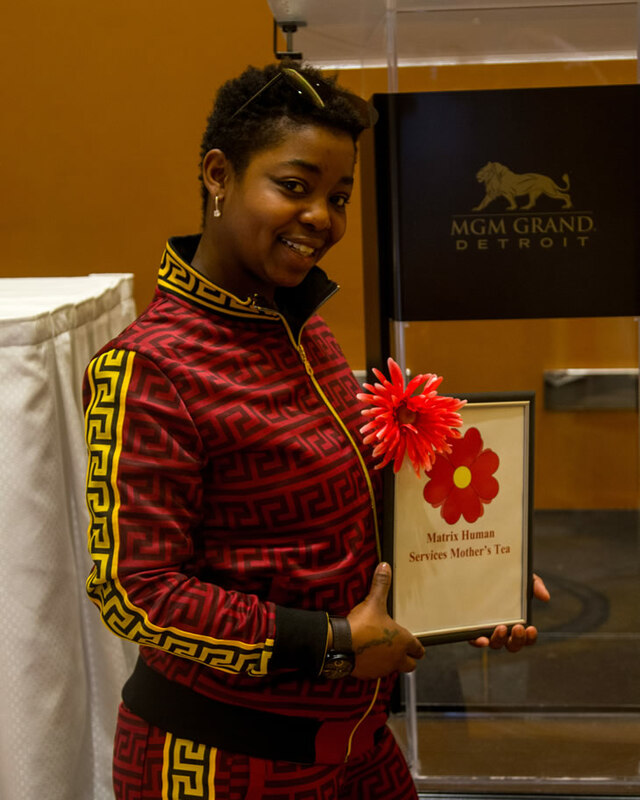 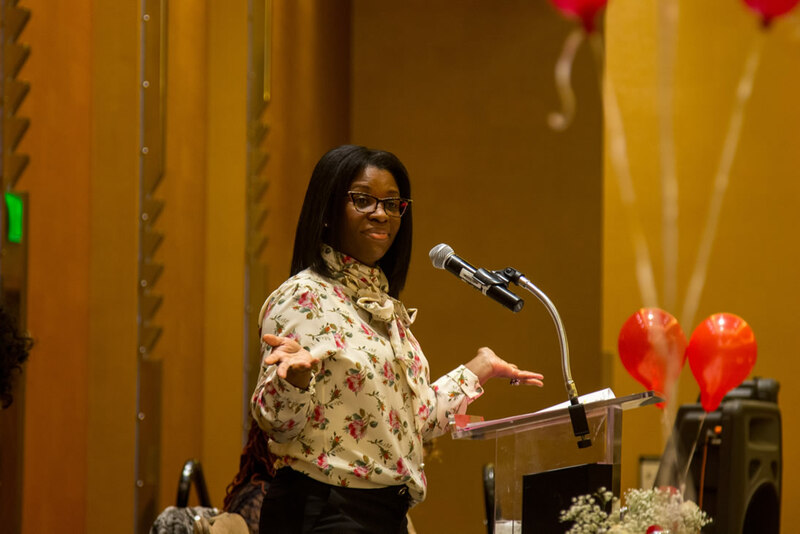 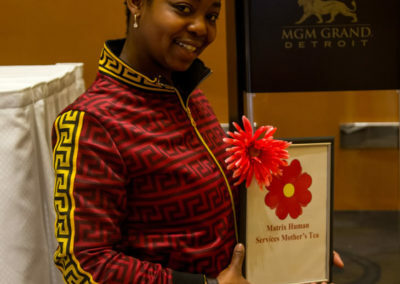 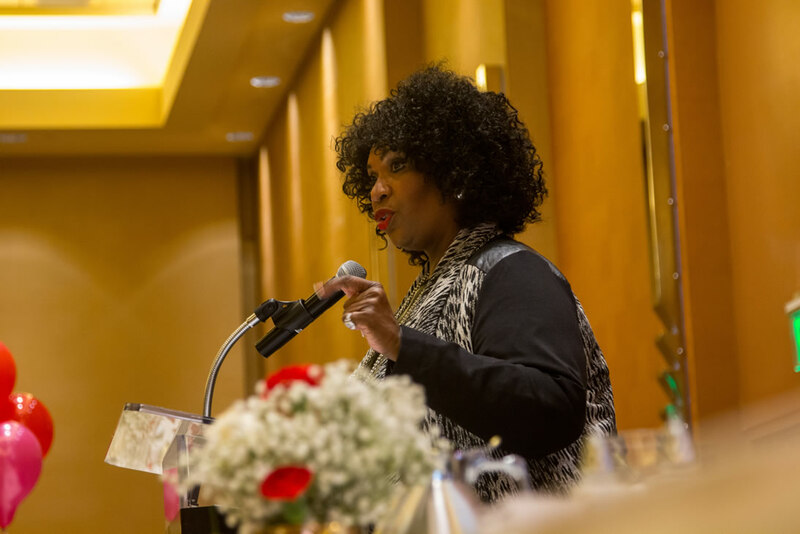 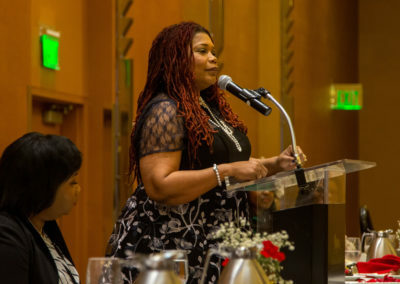 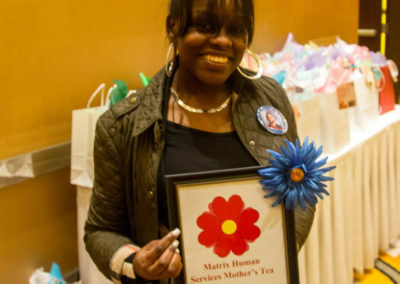 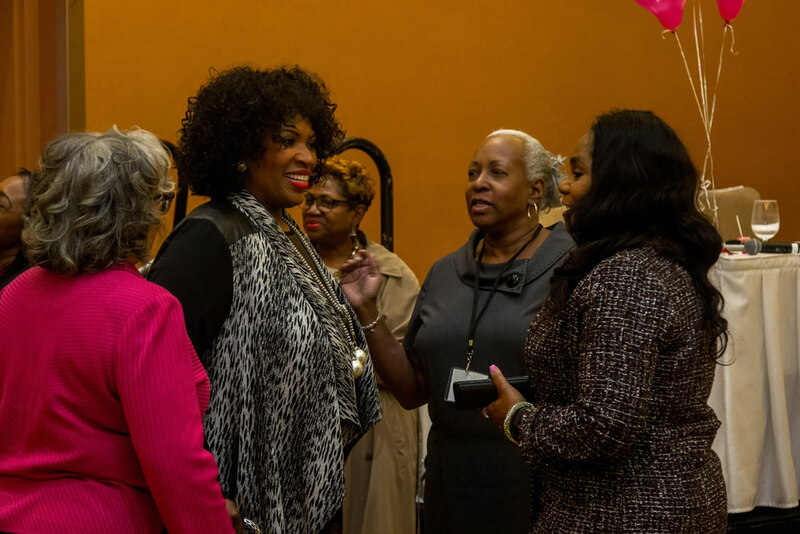 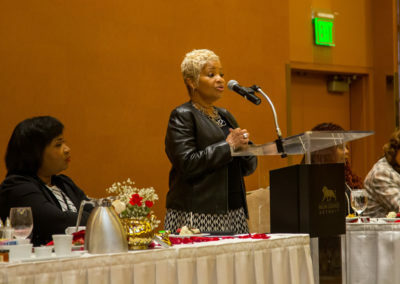 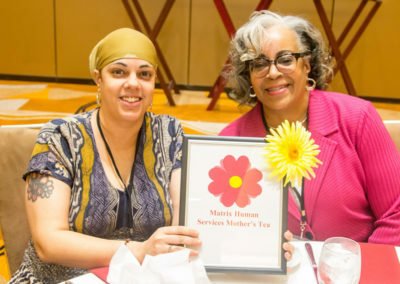 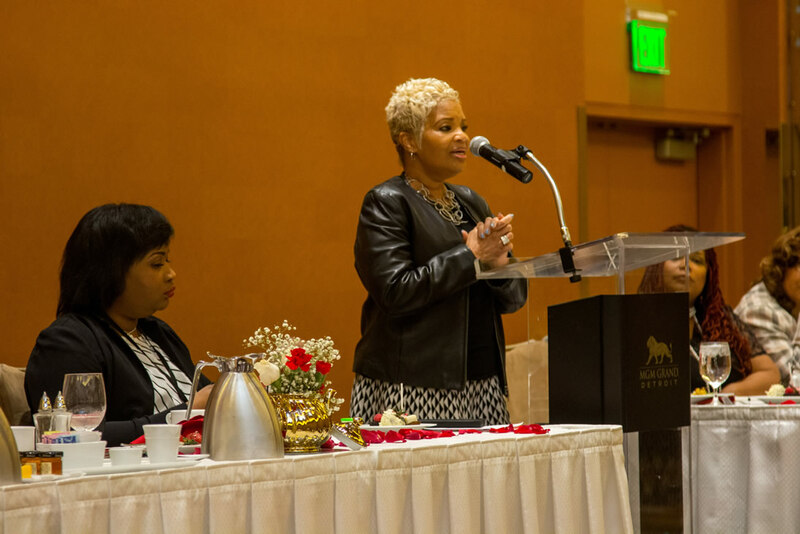 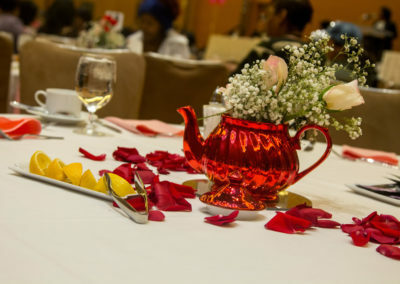 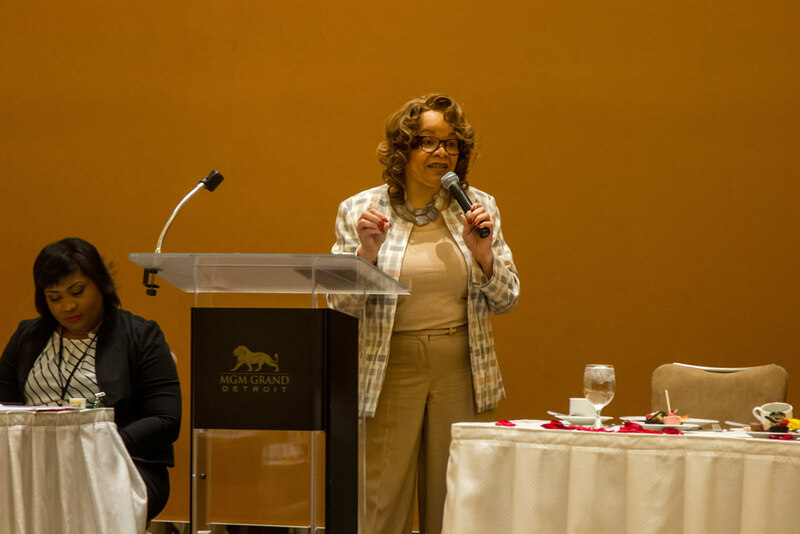 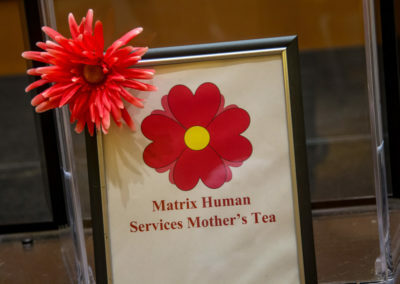 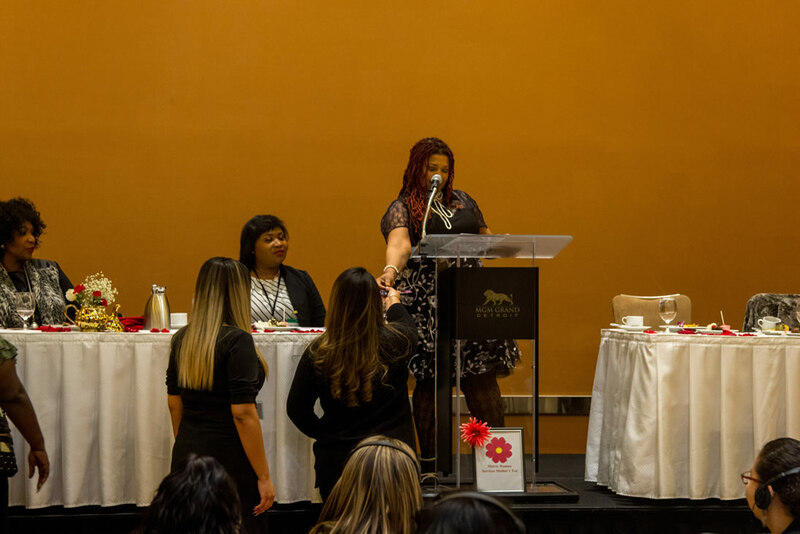 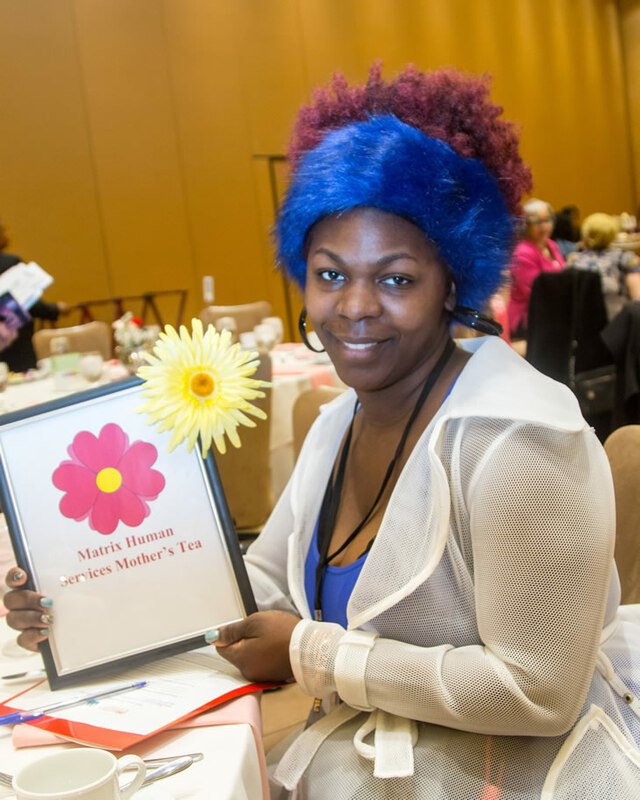 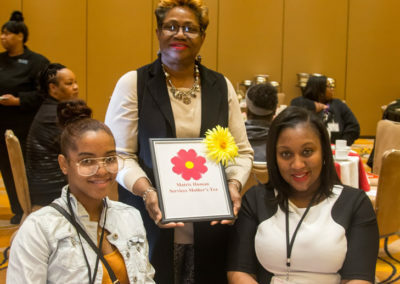 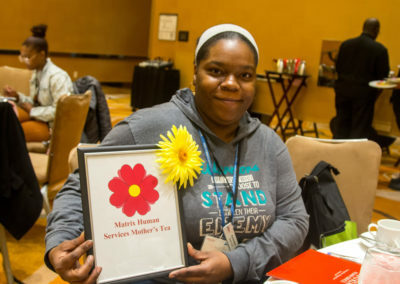 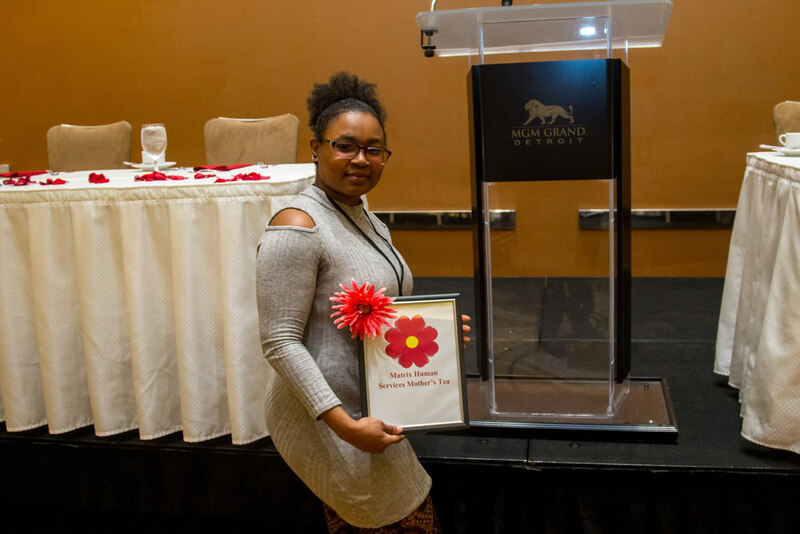 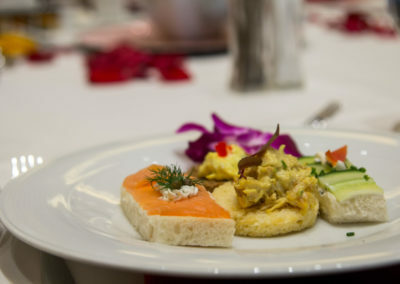 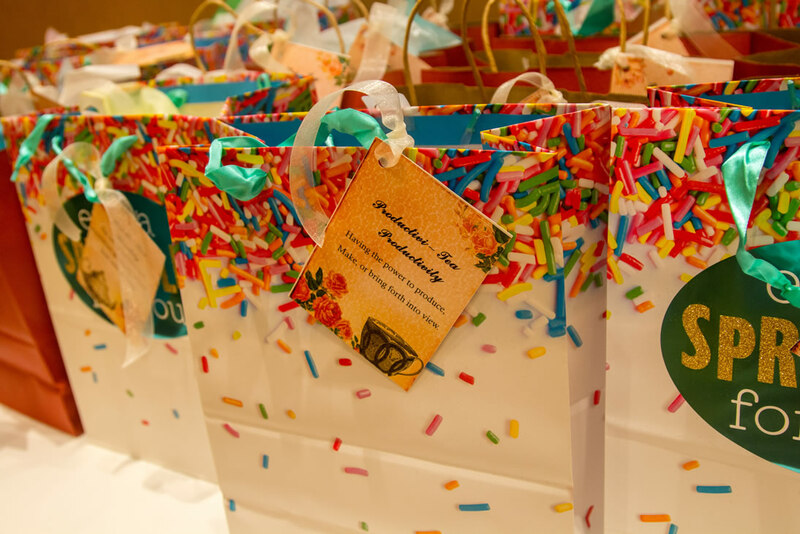 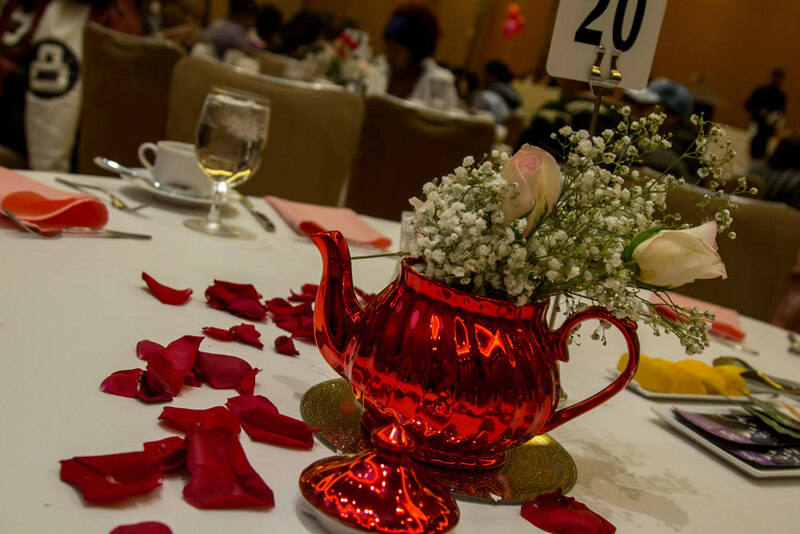 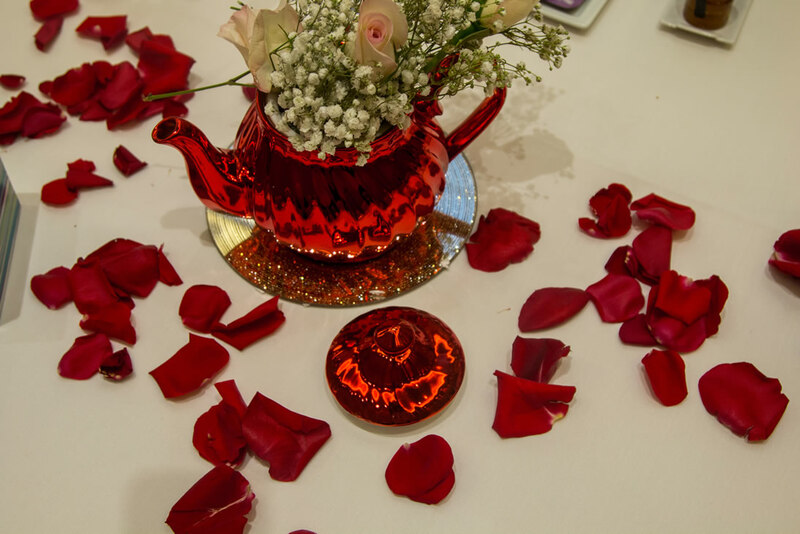 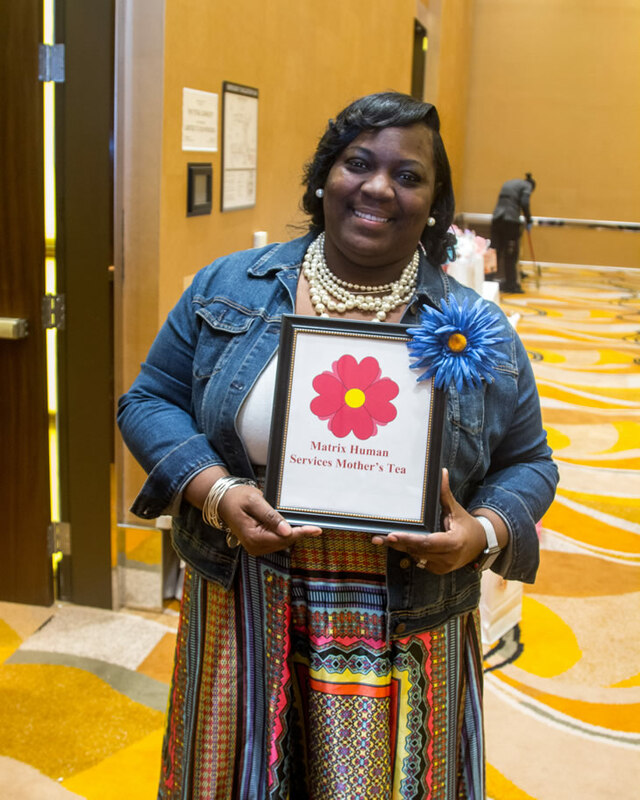 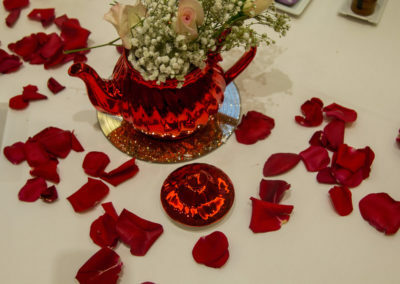 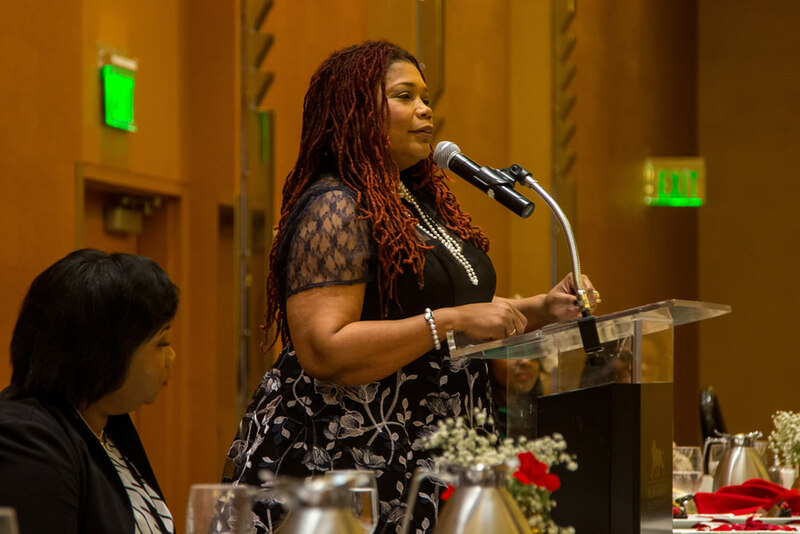 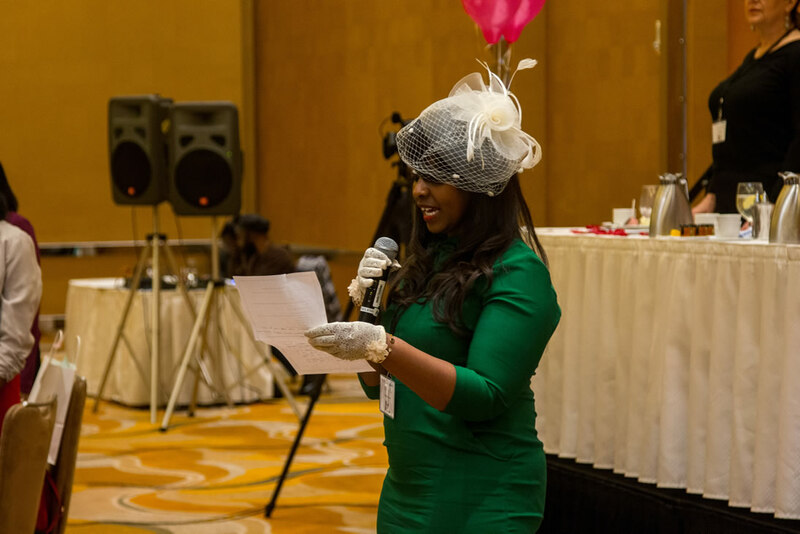 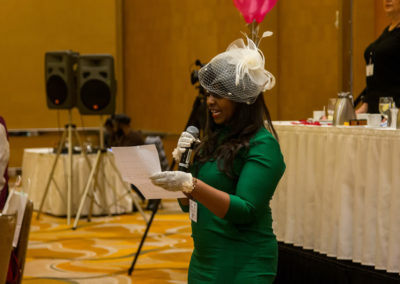 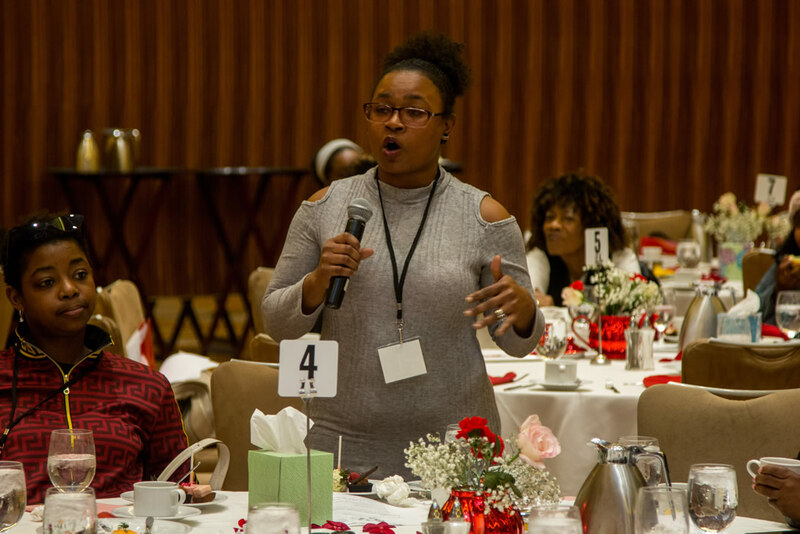 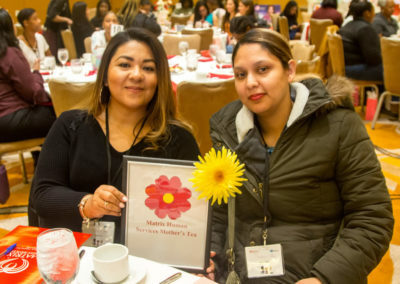 Resilience and perseverance were on display at the inaugural Matrix Human Services Mother’s Tea. 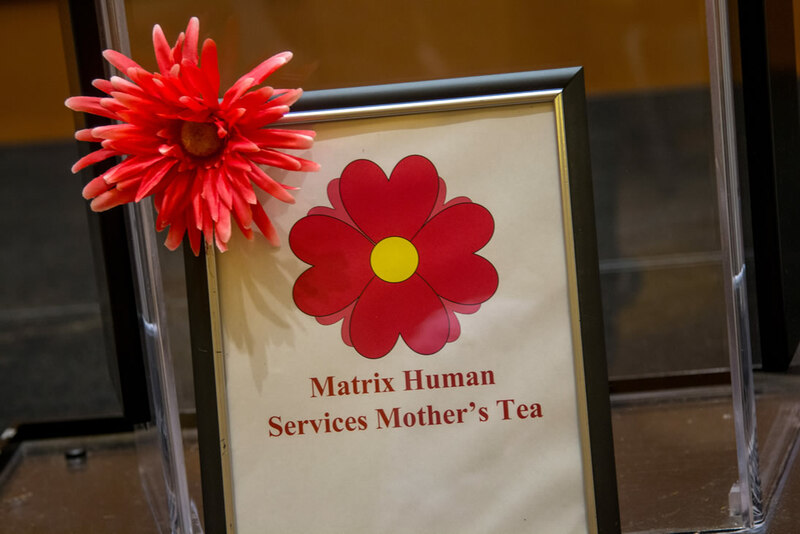 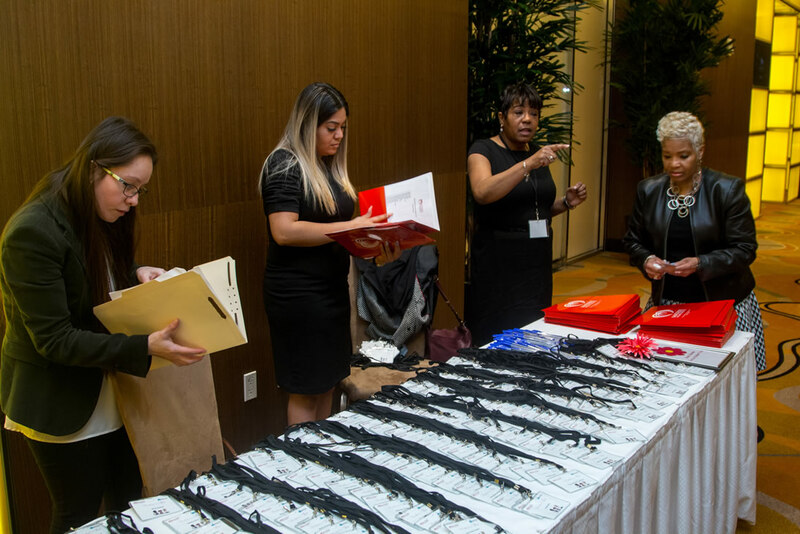 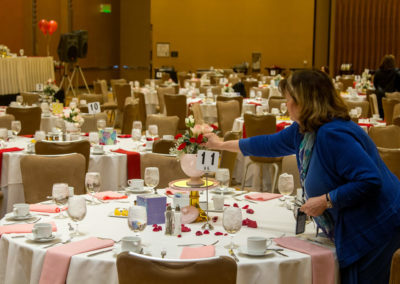 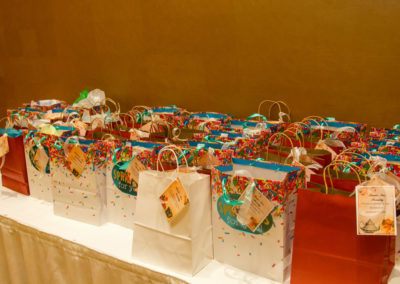 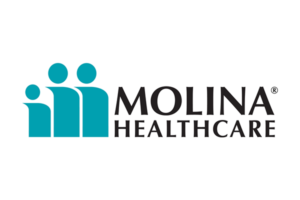 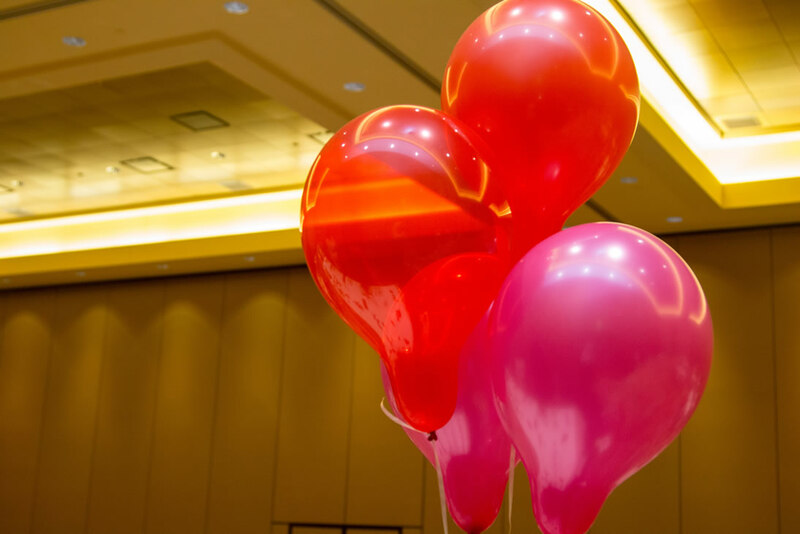 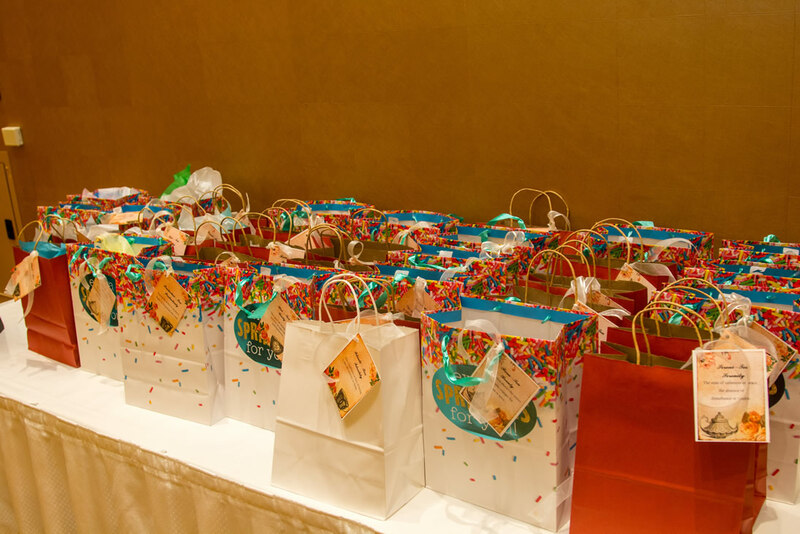 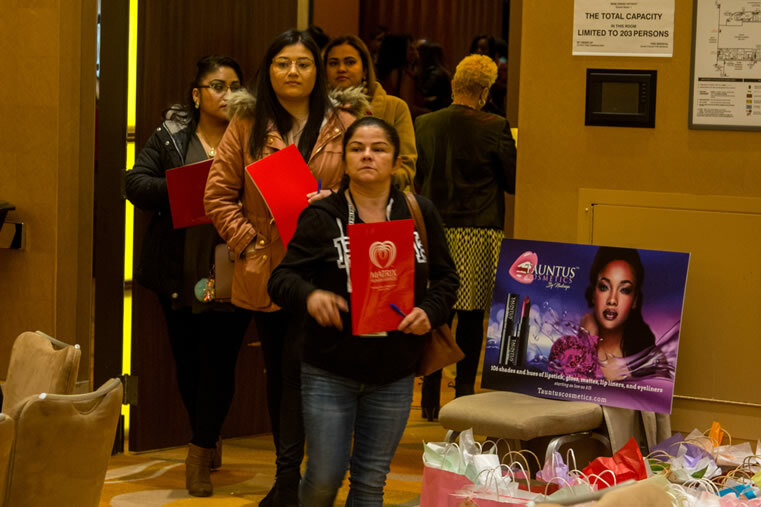 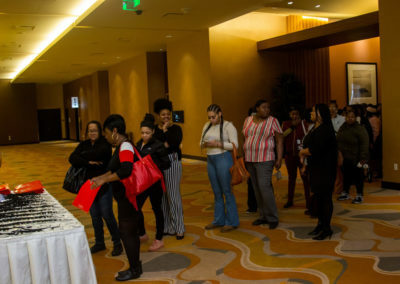 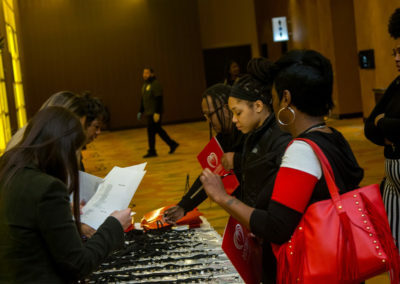 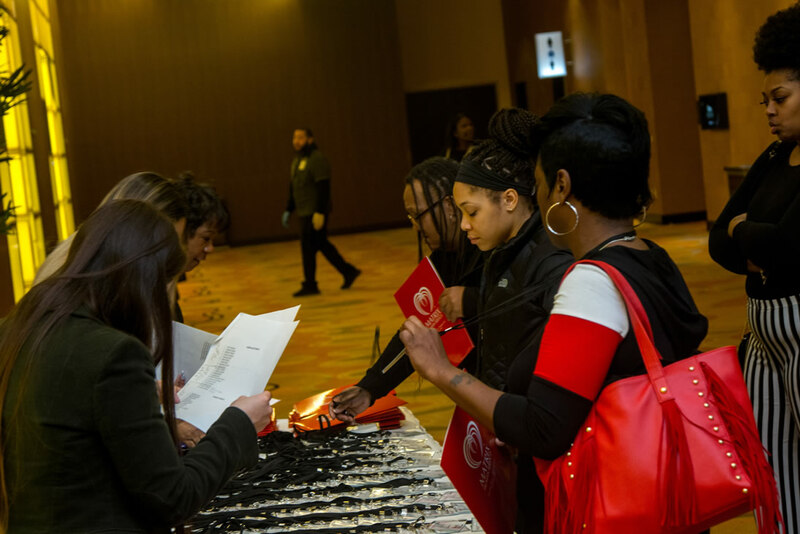 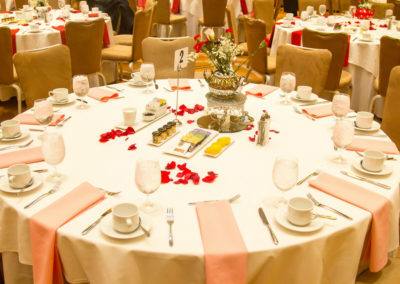 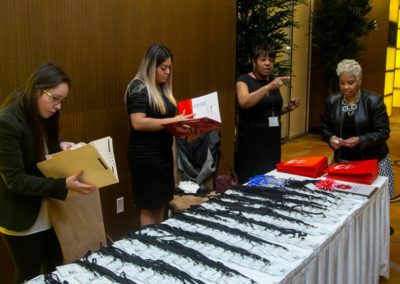 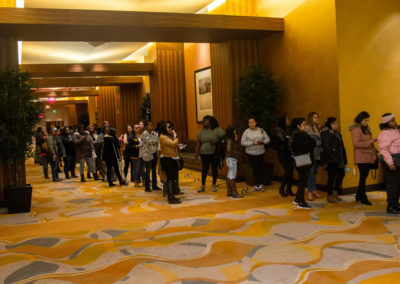 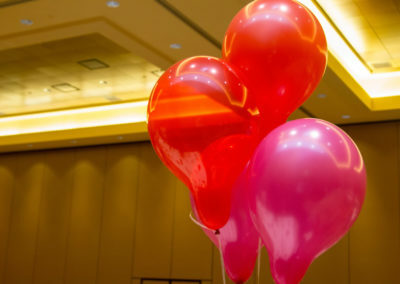 The event was hosted at MGM Grand Casino Hotel and sponsored by Molina Healthcare. 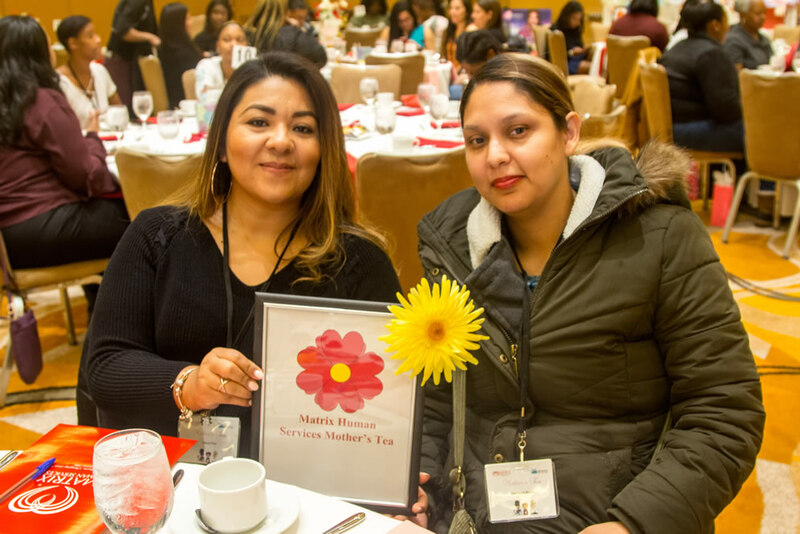 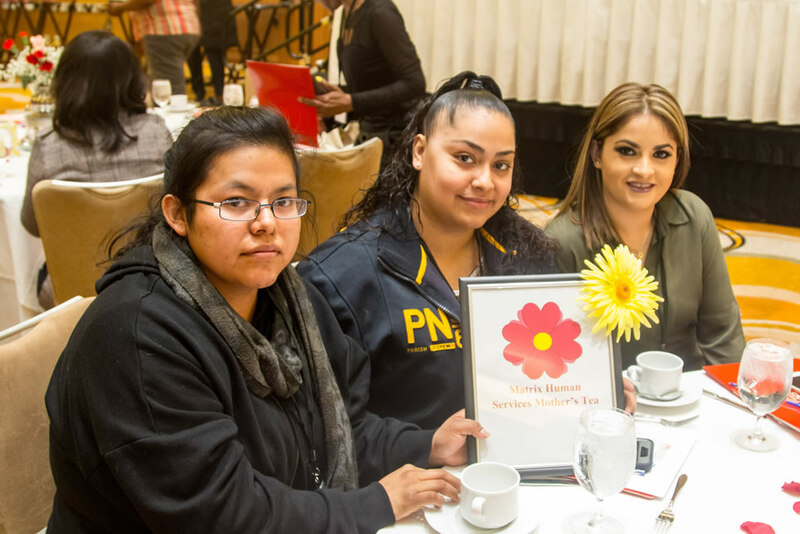 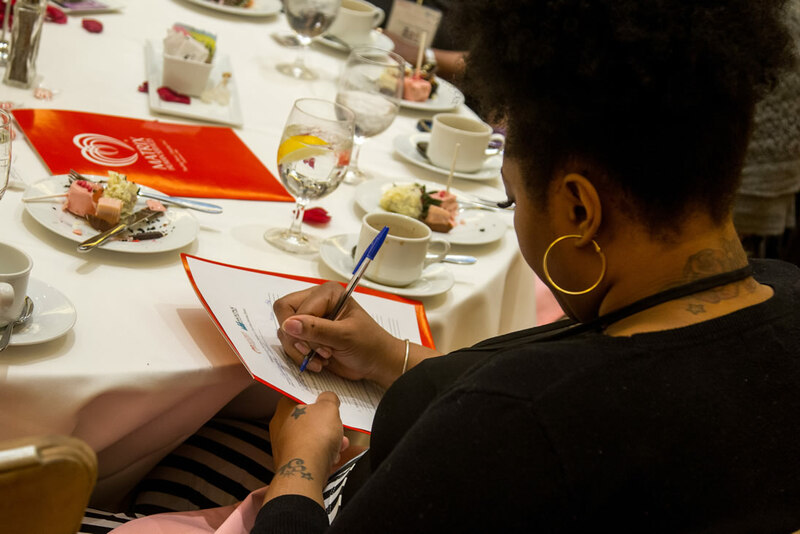 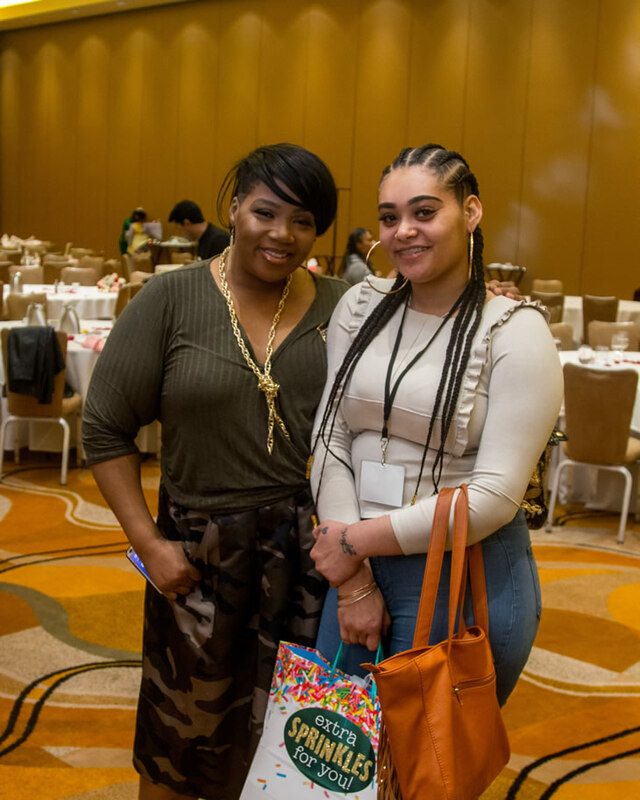 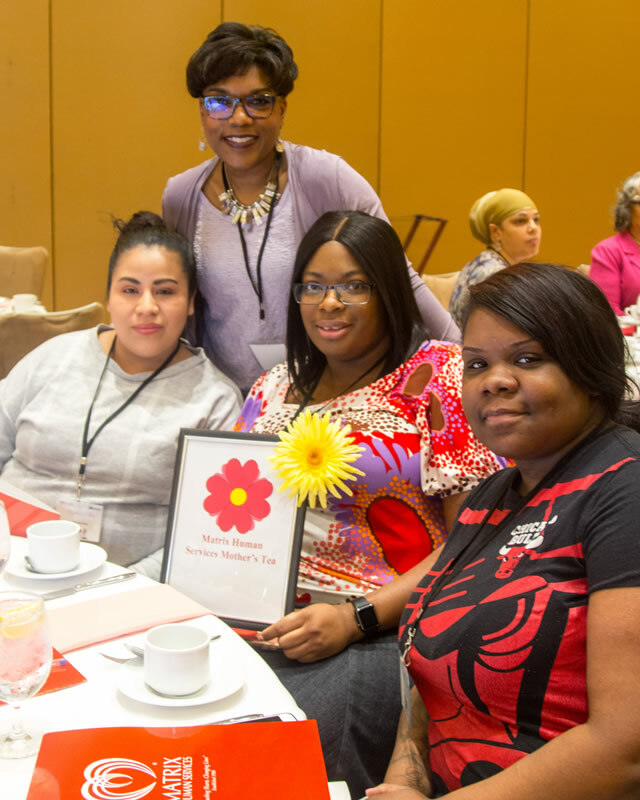 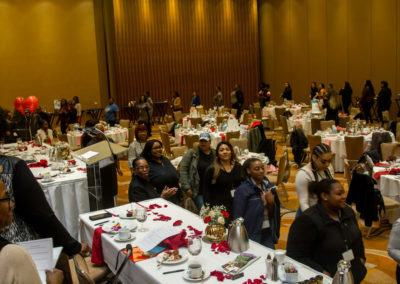 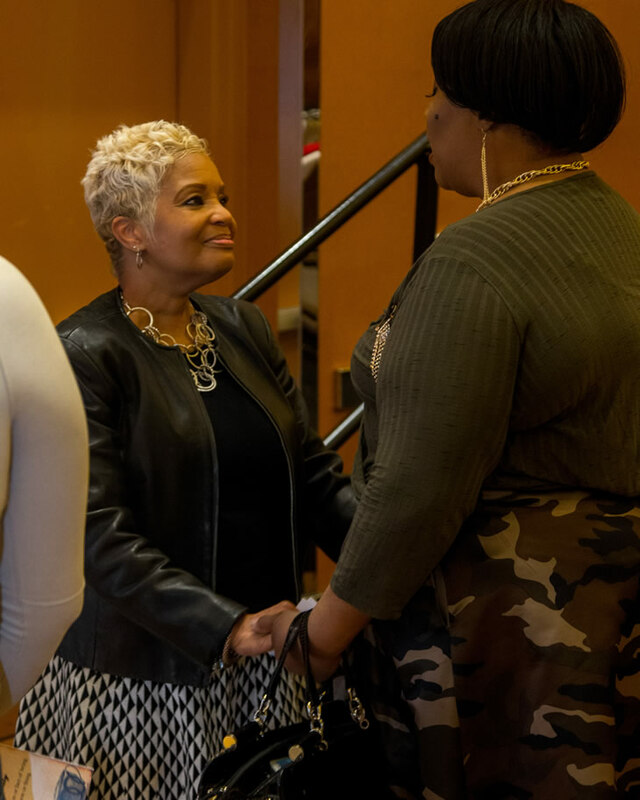 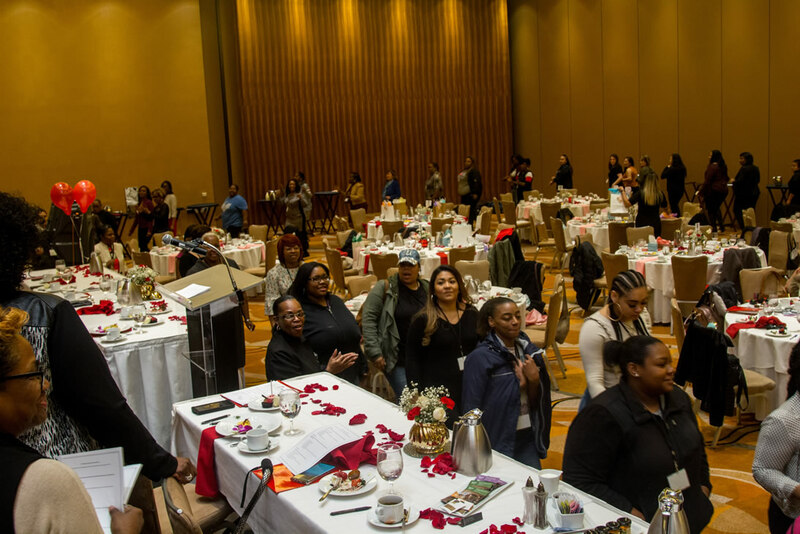 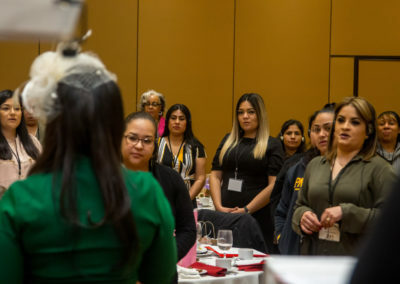 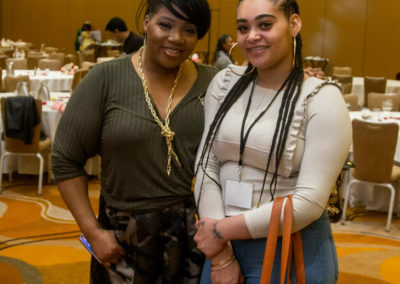 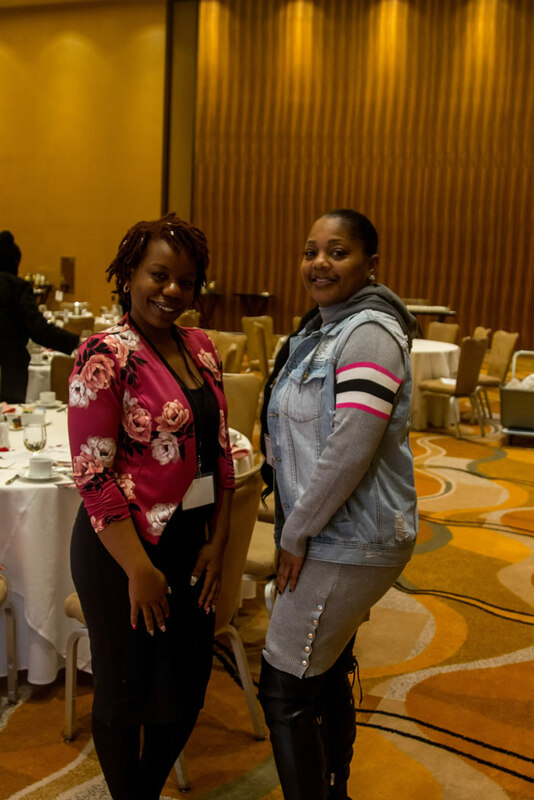 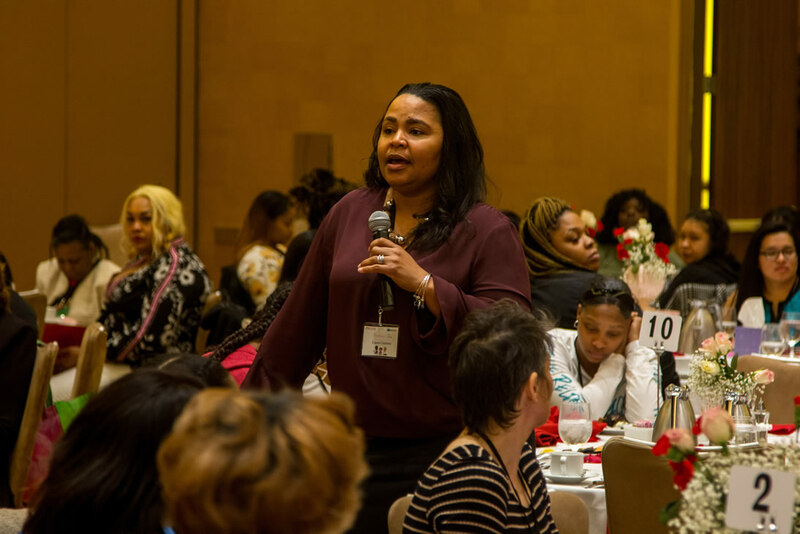 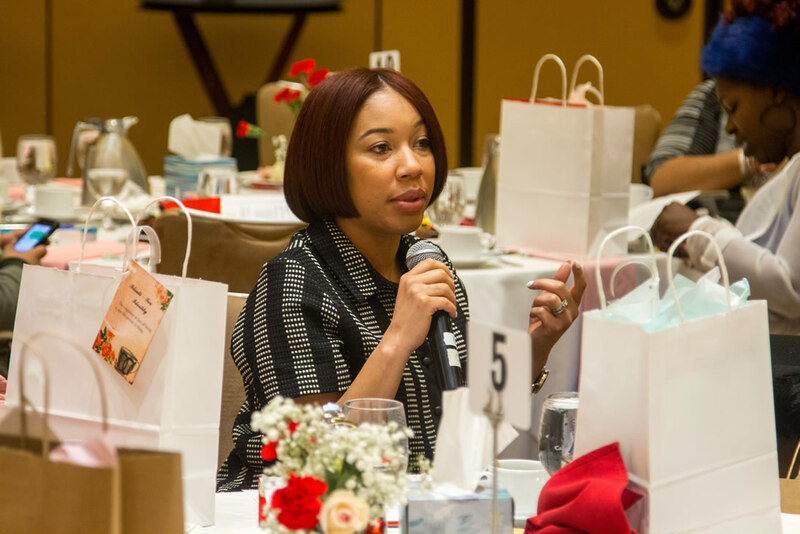 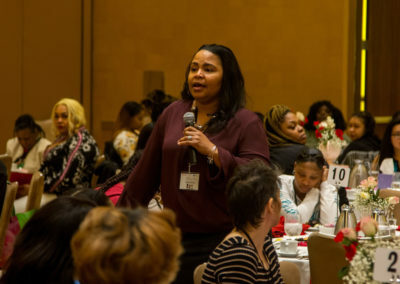 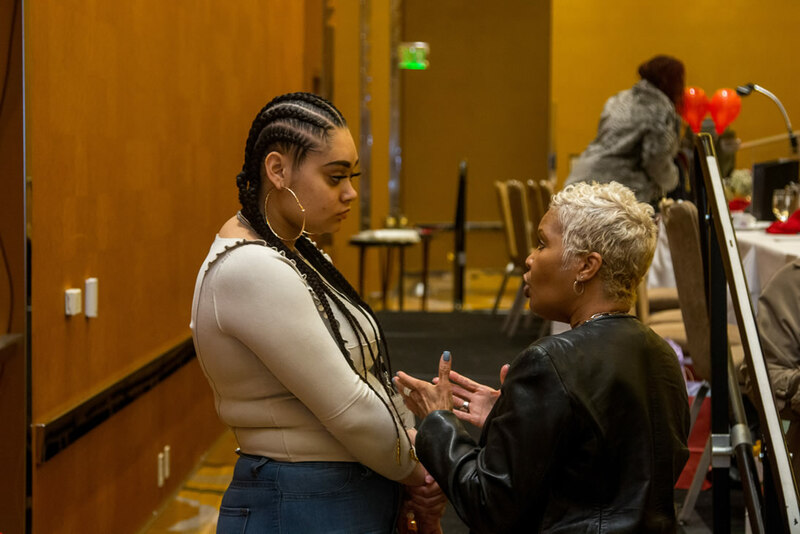 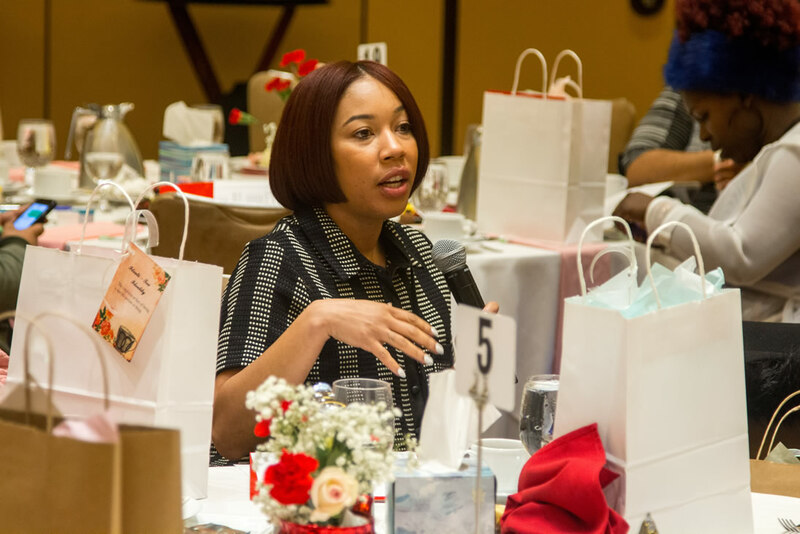 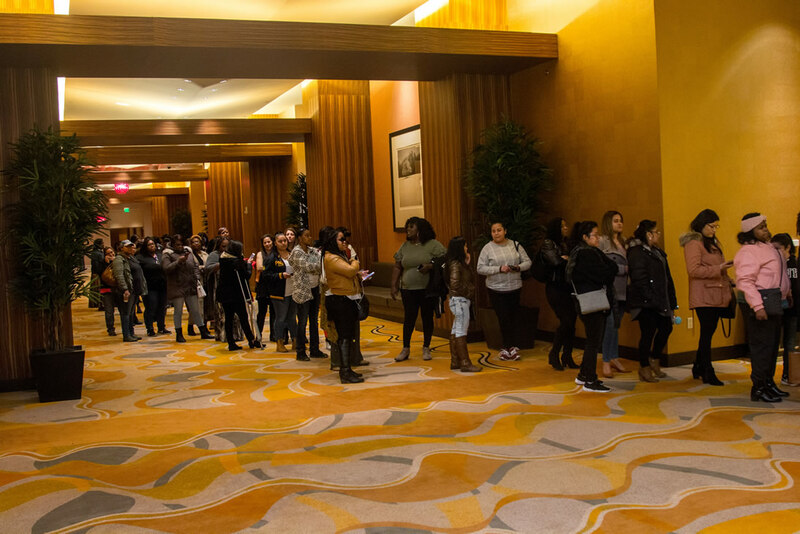 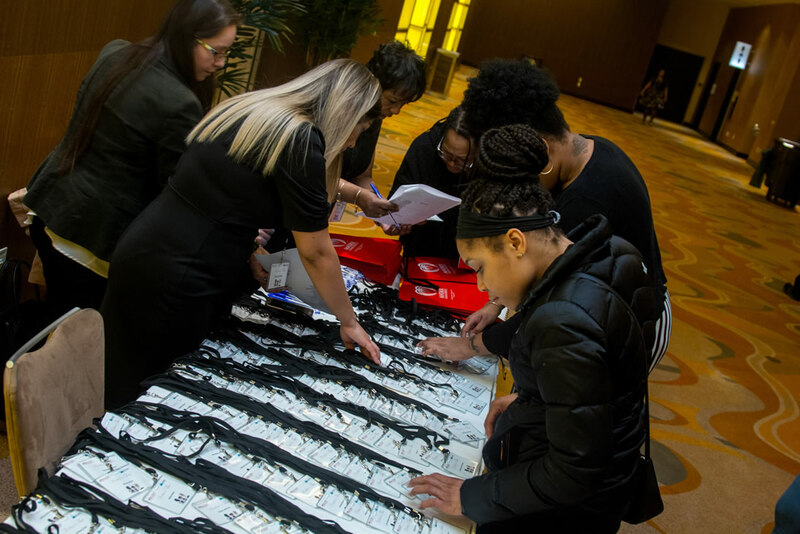 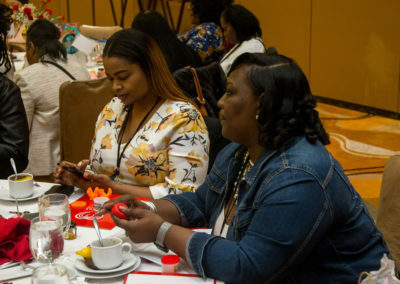 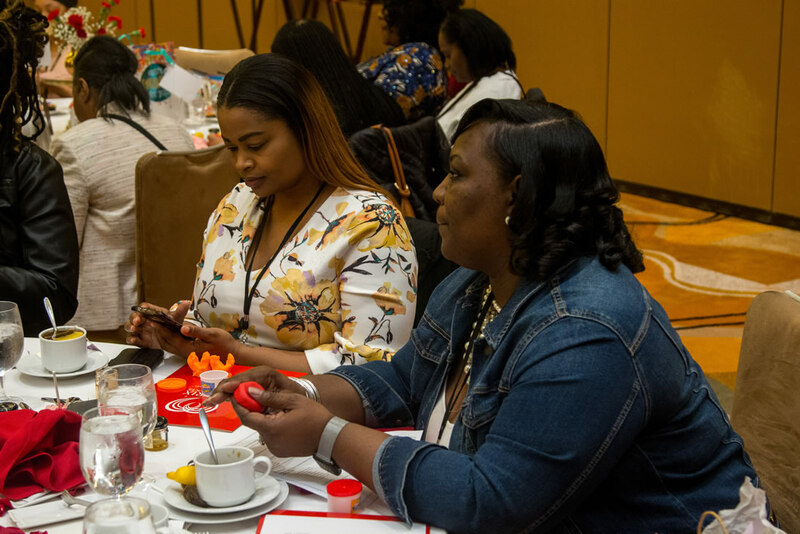 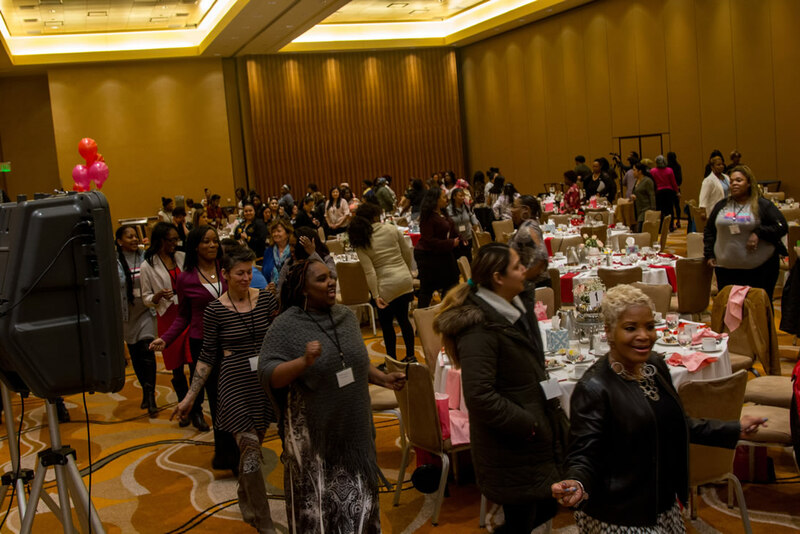 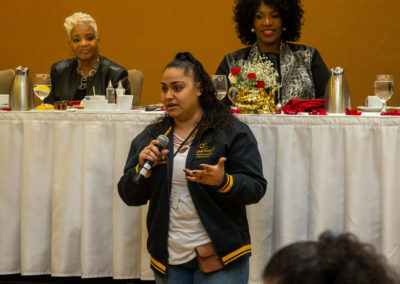 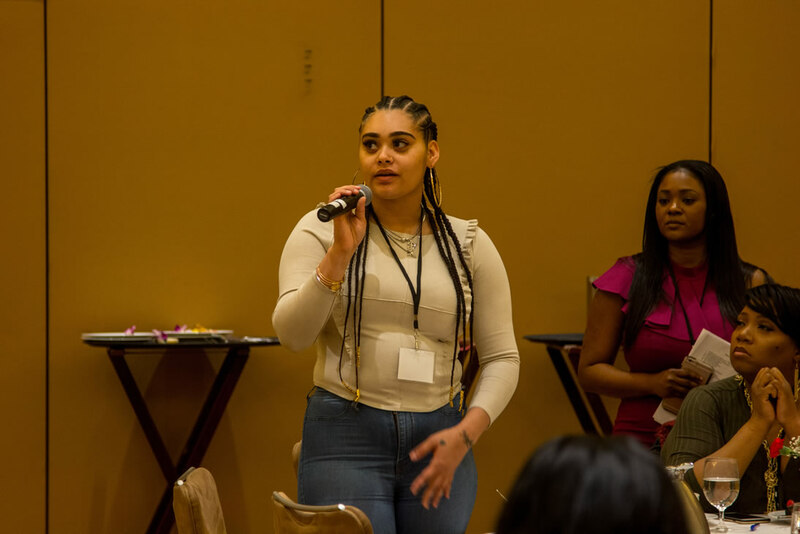 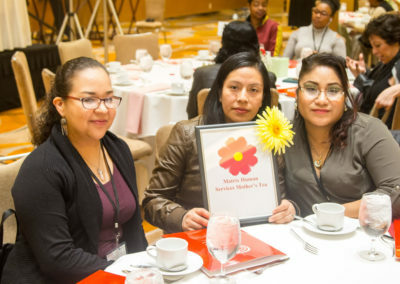 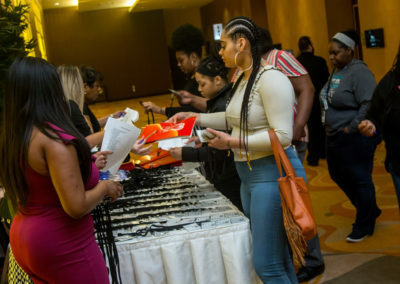 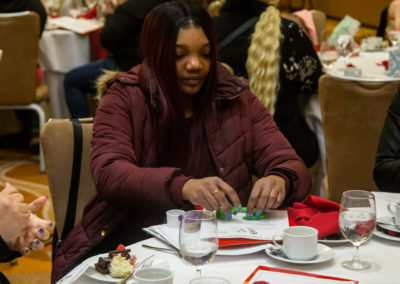 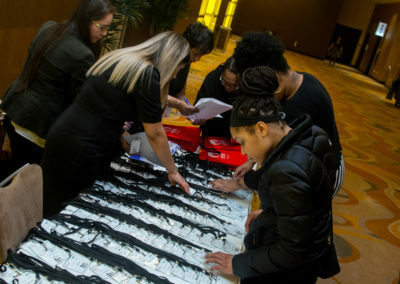 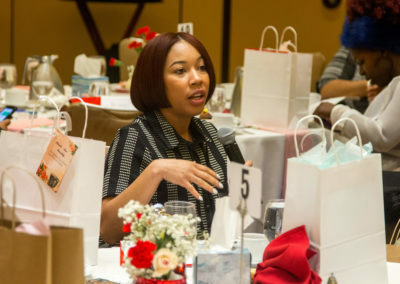 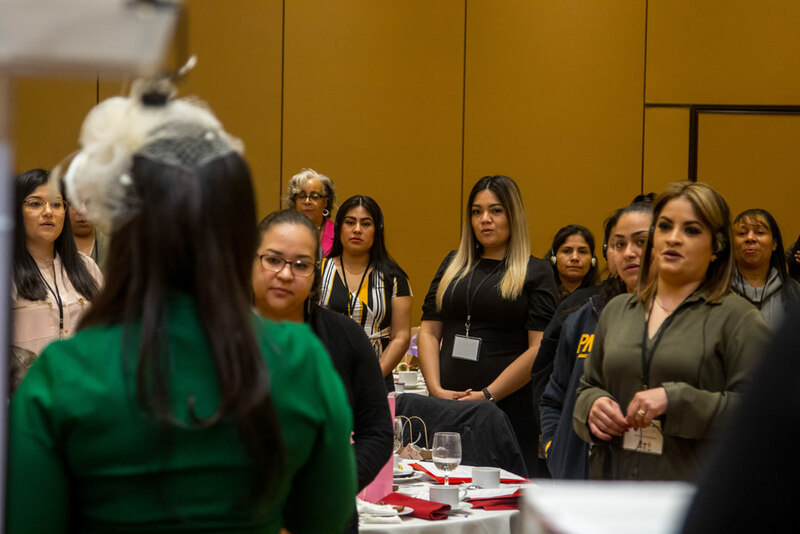 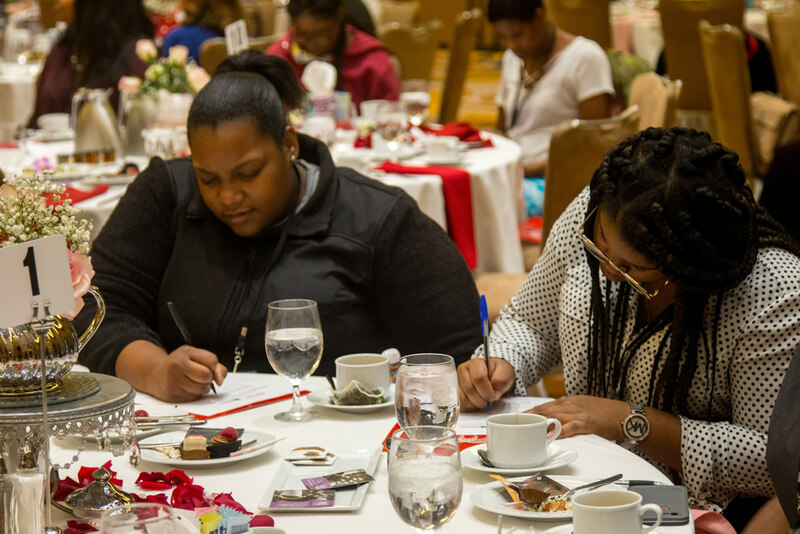 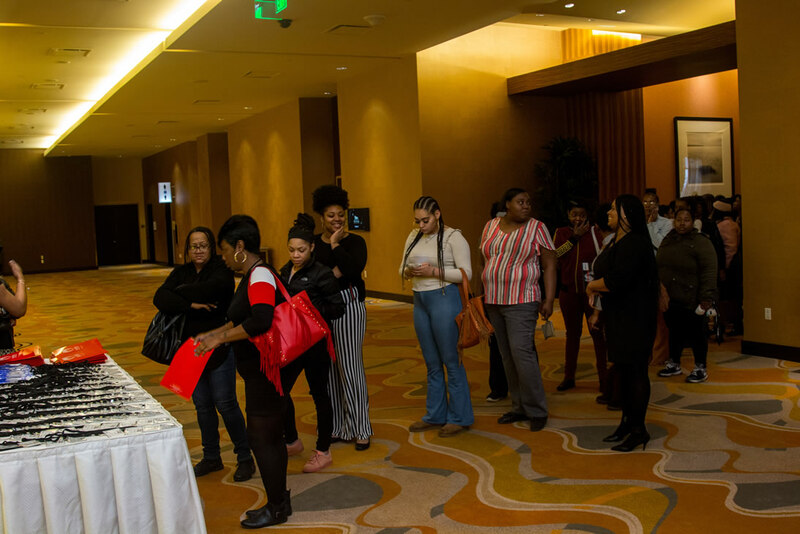 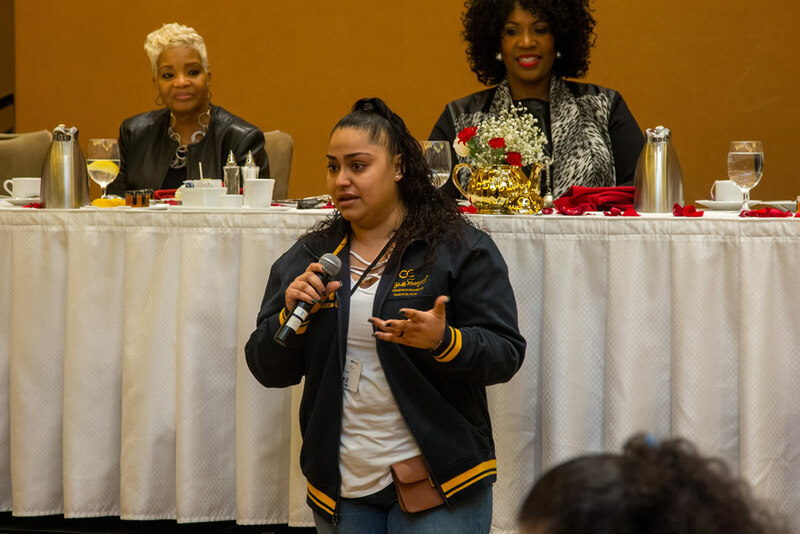 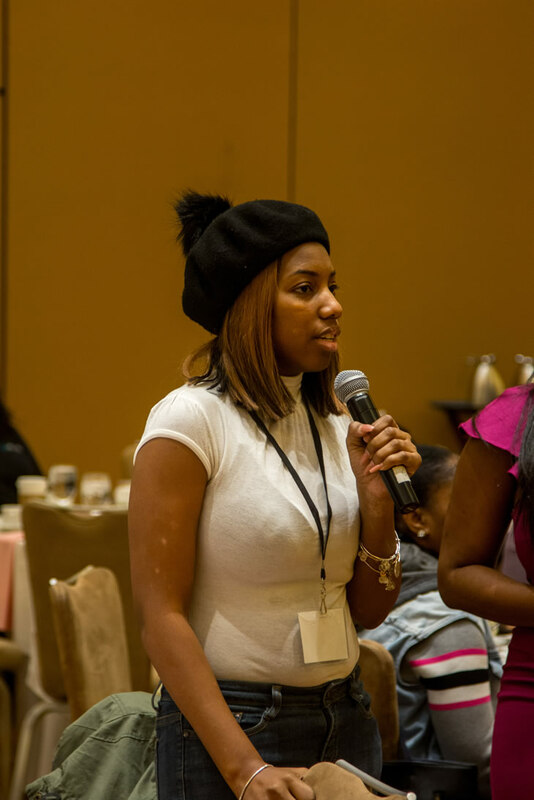 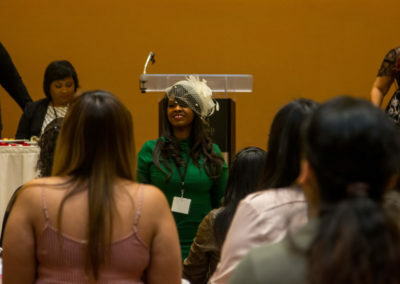 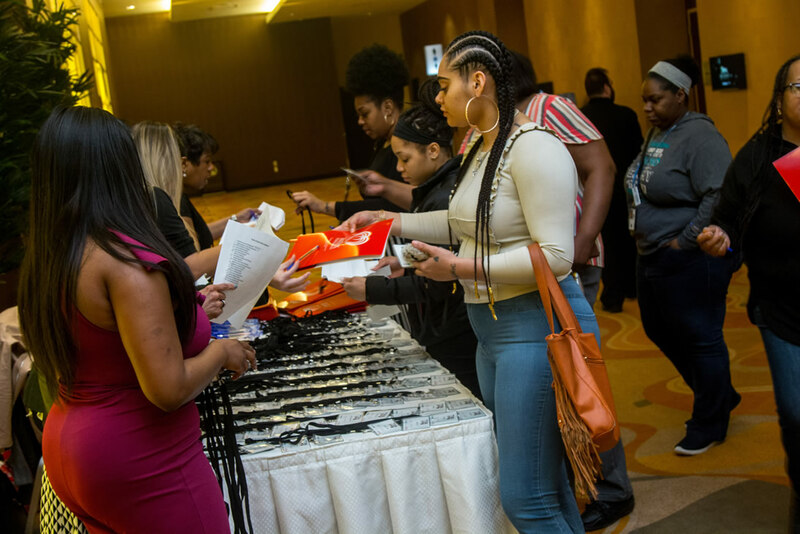 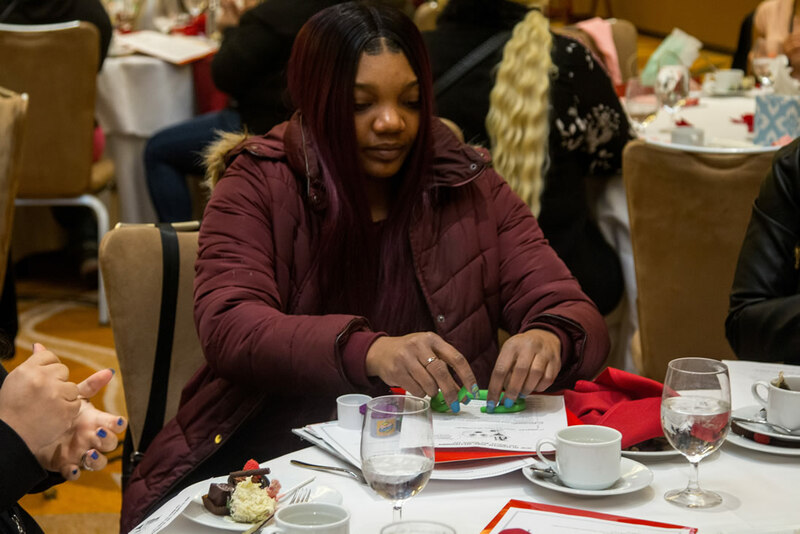 More than 150 mothers from our Matrix Head Start program were in attendance to discover tangible ways to overcome obstacles that most mothers have to endure. 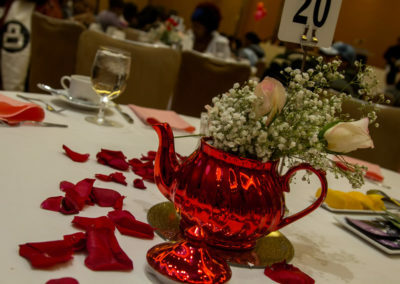 Oftentimes, all alone. 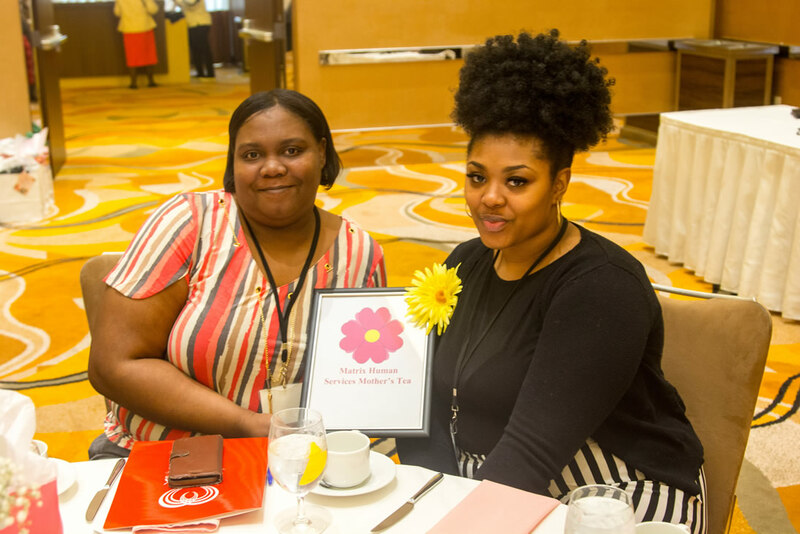 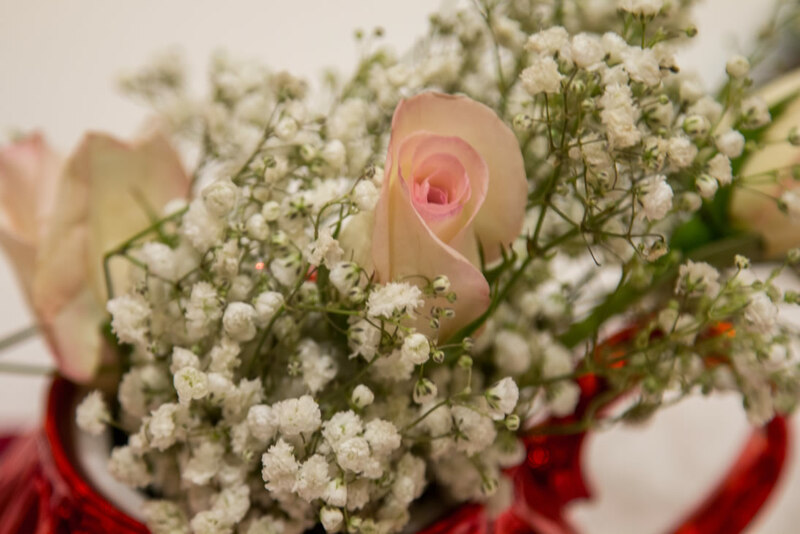 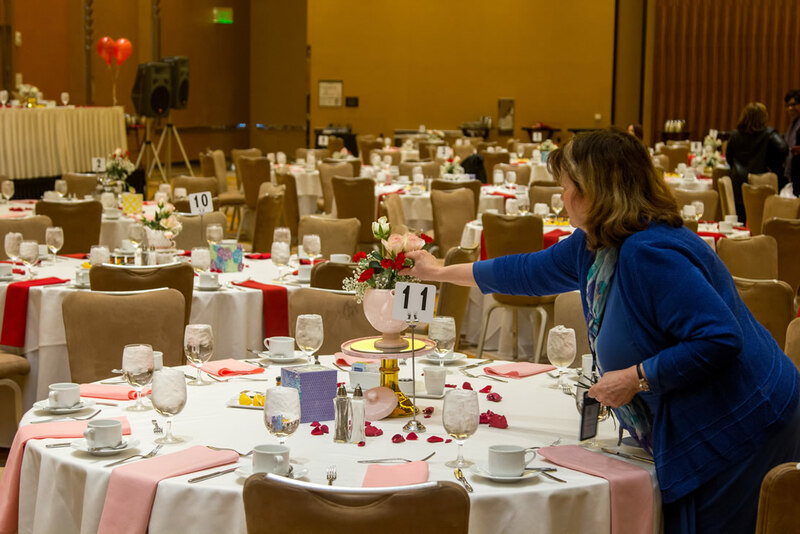 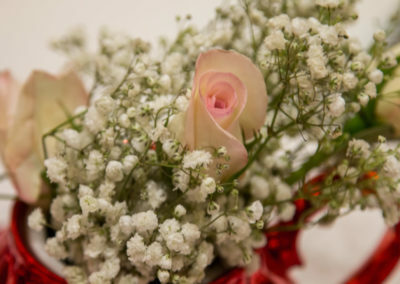 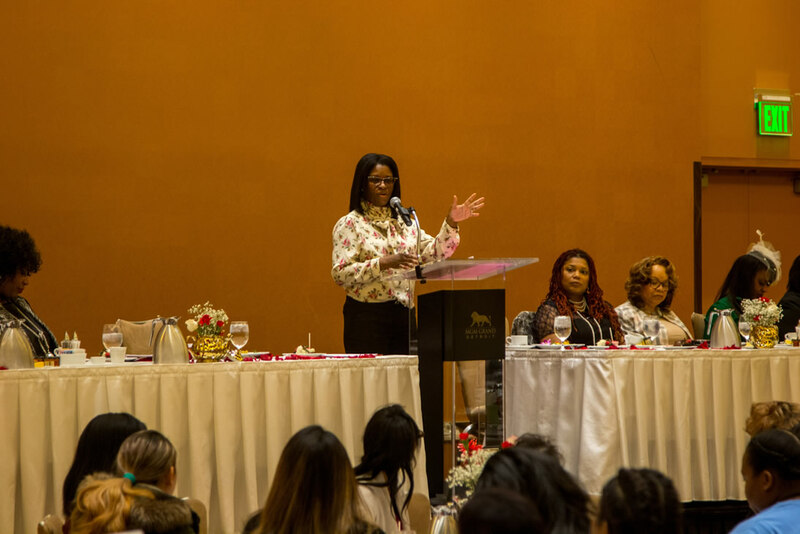 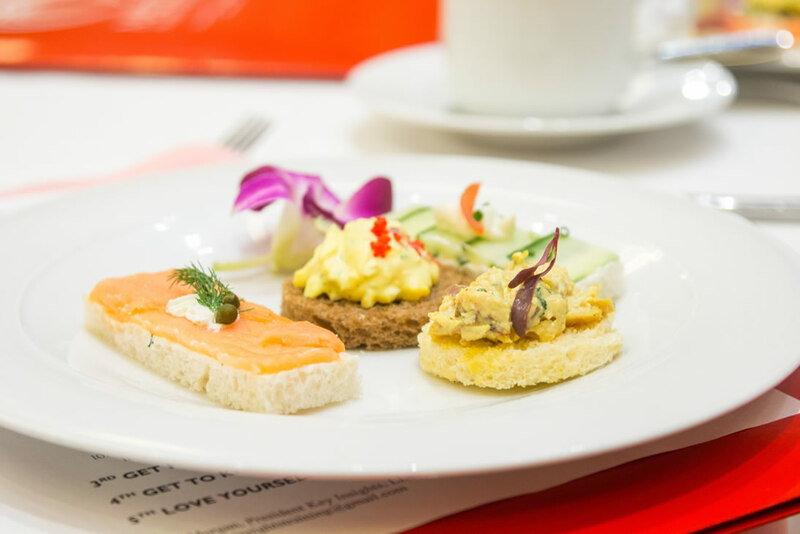 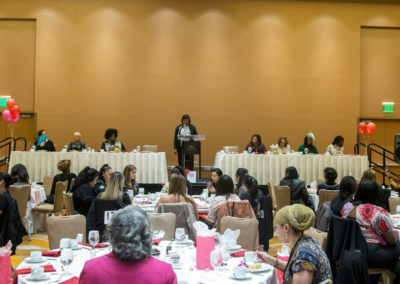 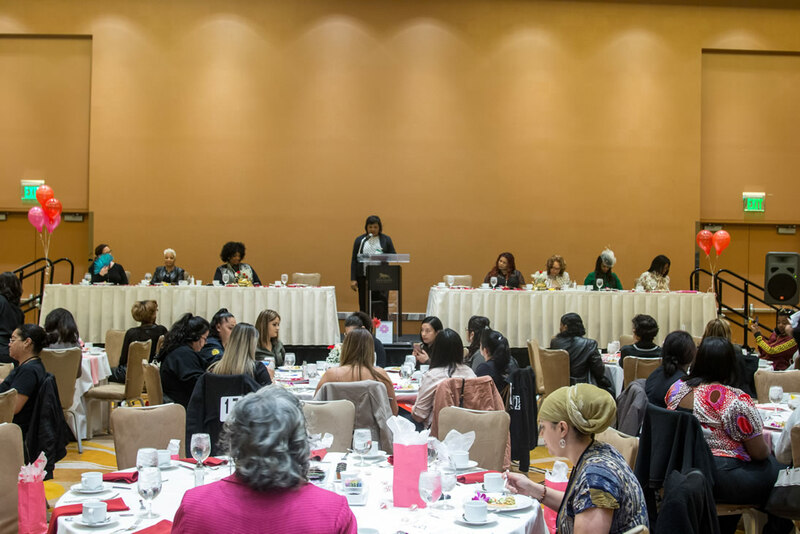 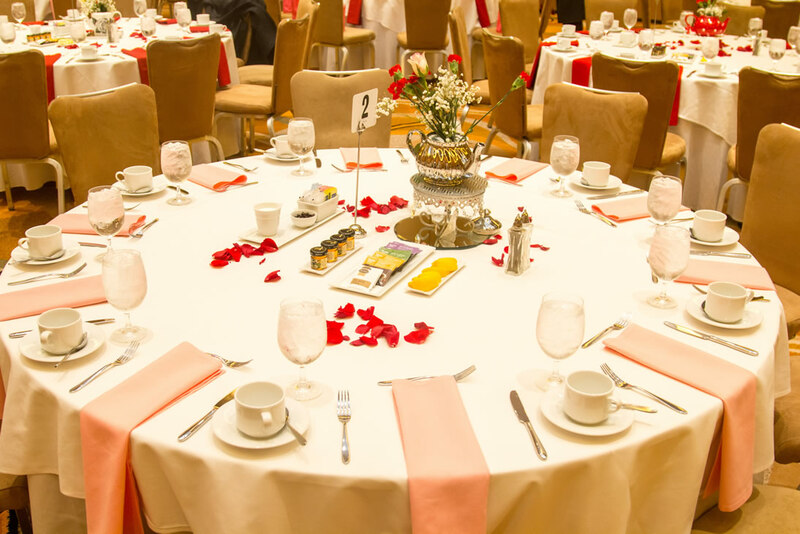 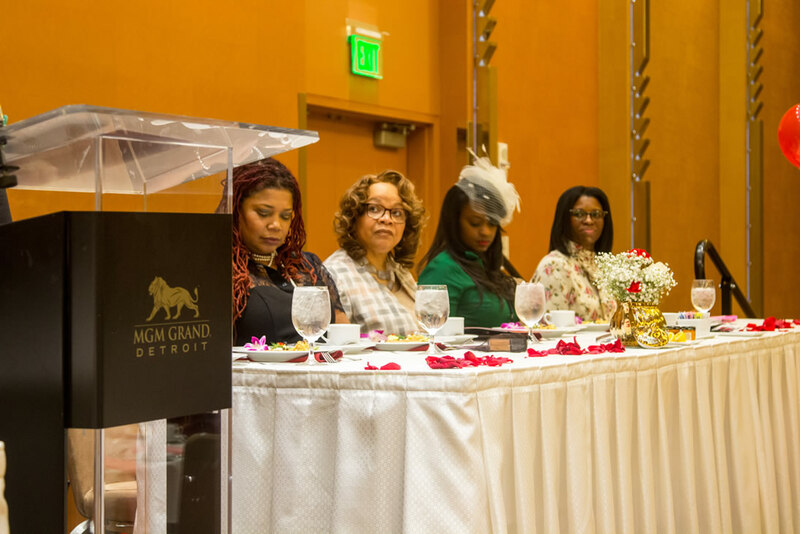 Each table of mothers was paired with a Role Model Host – all women in our community who have overcome obstacles to reach a profound level of success. 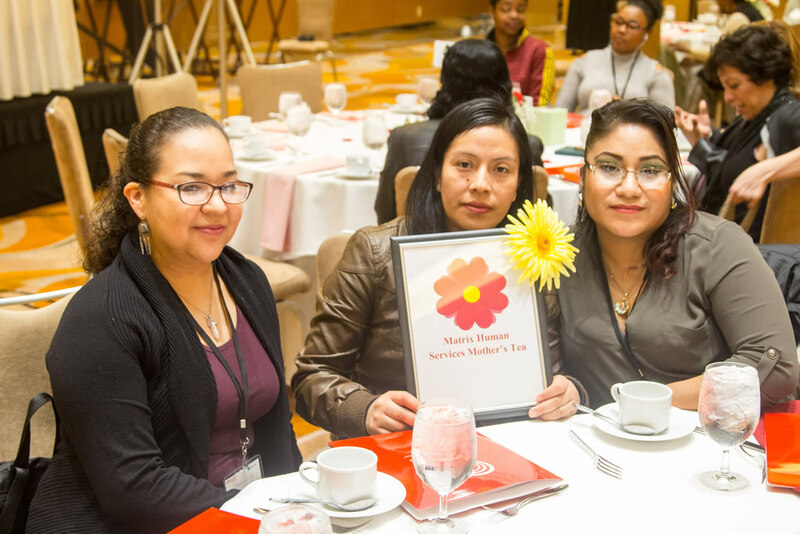 These women agreed to serve as a resource to our Head Start mothers. 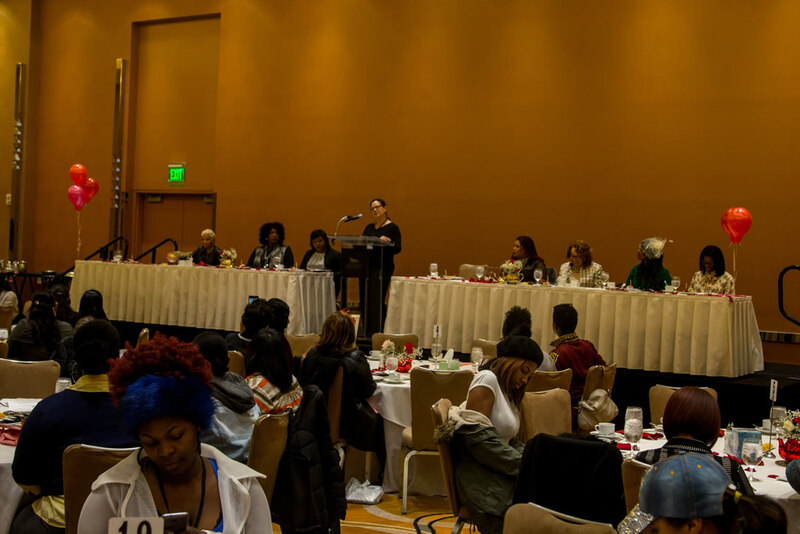 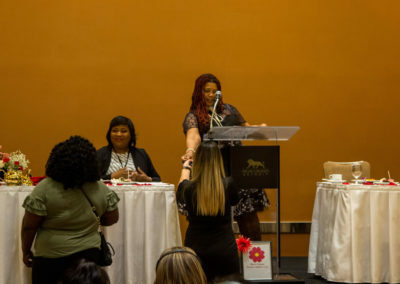 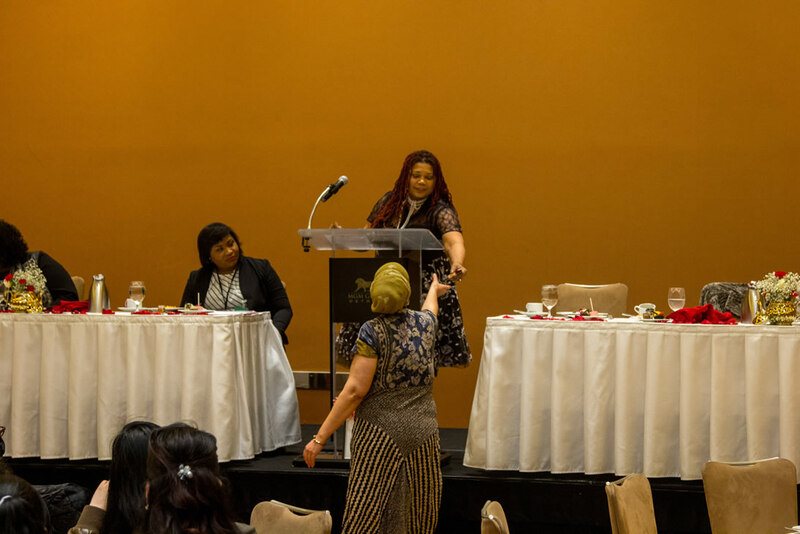 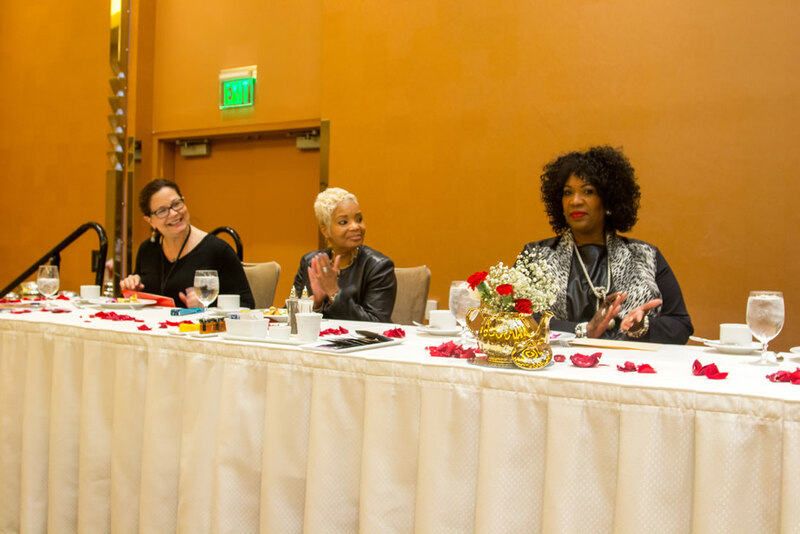 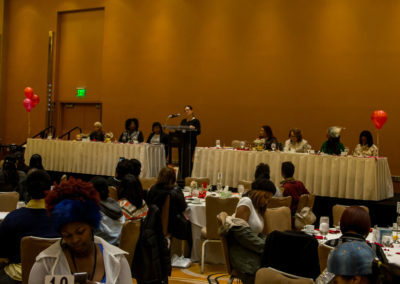 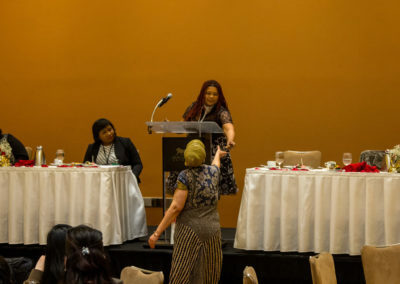 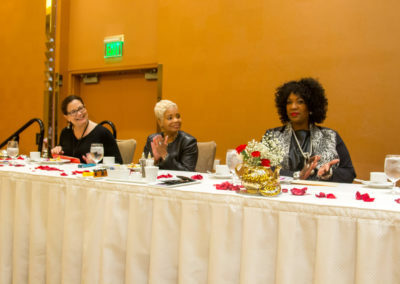 Our Role Model Hosts and their table of Matrix head Start mothers discussed whatever was on their hearts leading up to the empowering all women panel. 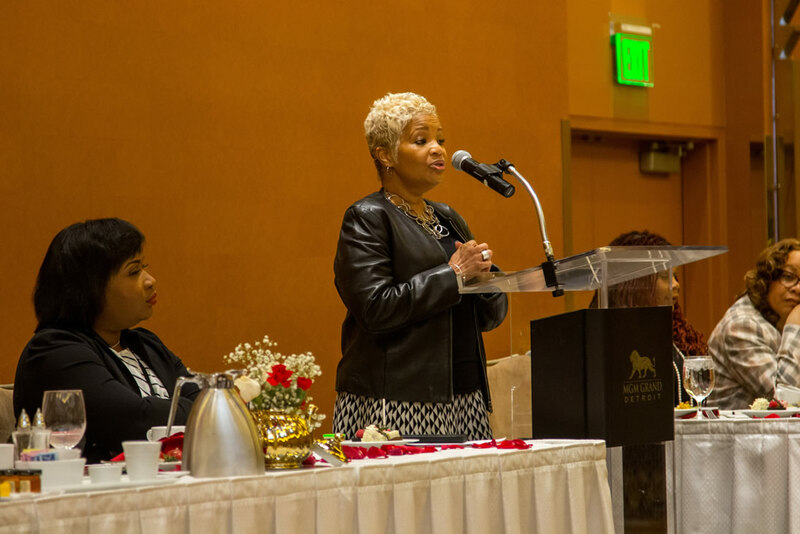 Janis D. Hazel was our first speaker who discussed many ways to properly cope with grief and the sudden loss of a loved one. 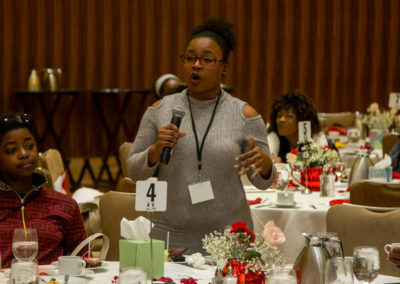 She specifically stressed the importance of seeking therapy. 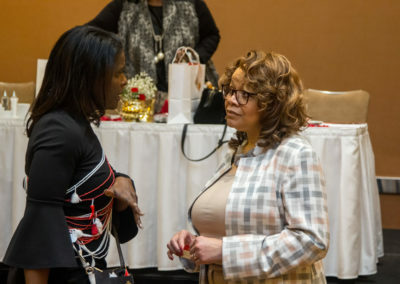 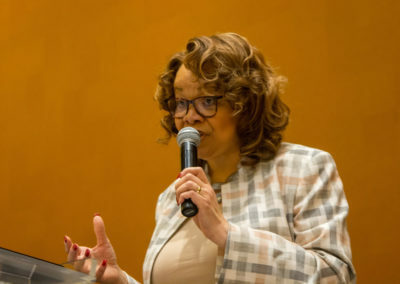 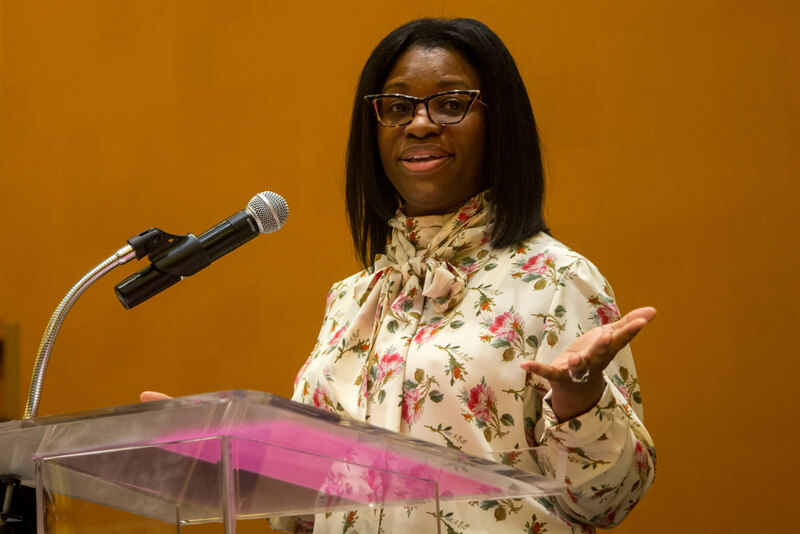 Dr. Sherida DuBose, MD, Medical Director for Molina Healthcare touched on the importance of stress awareness, what stress looks like and how it affects your body. 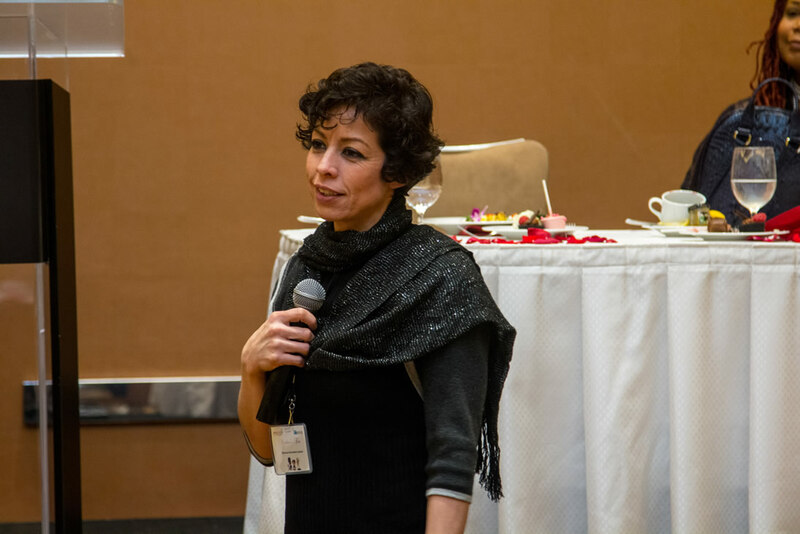 People often go through life not realizing the key indicators of stress are headaches, muscle tensions and sleep depreciation. 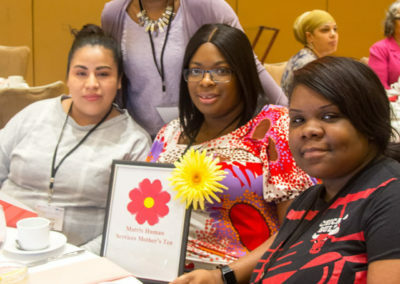 An important take-away that she shared, although it may seem like a difficult thing for mothers to do, is that finding alone time is one of the best ways a mother can manage stress. Even if that alone time only lasts for five to 10 minutes a day. 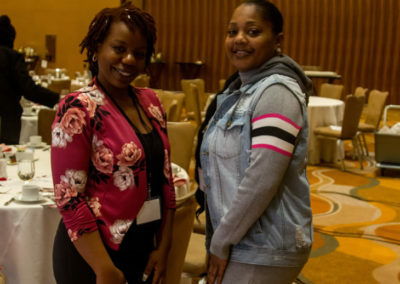 Then it was time to “Get Moving” with Latoya Willoughby, Assistant Manager and School Nurse for the Matrix Head Start program. 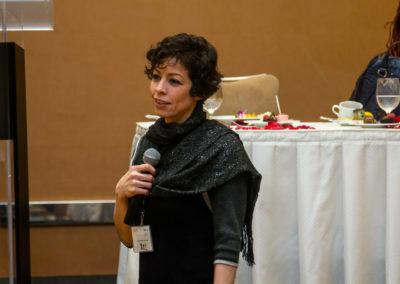 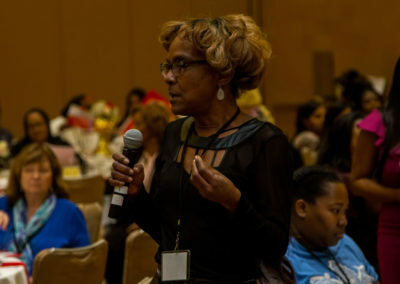 She encouraged movement by having the attendees take a stride around the room, followed by several breathing techniques designed to destabilize stress in a stressful situation. 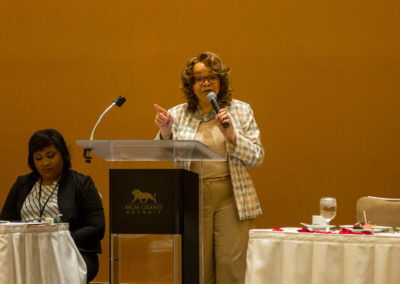 Next up, was Pamela Morgan who wowwed the crowd when she described how to eliminate toxic relationships. 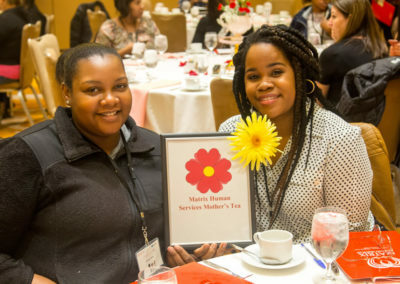 Mothers had the opportunity to identify what some toxic relationships could be in their life and the best way to resolve or dissolve those relationships. 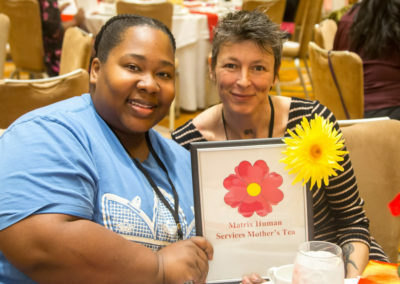 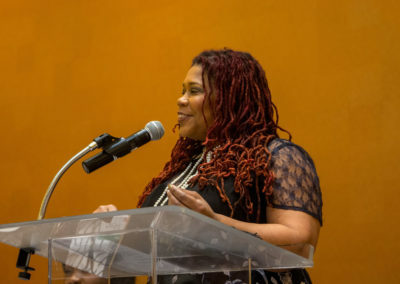 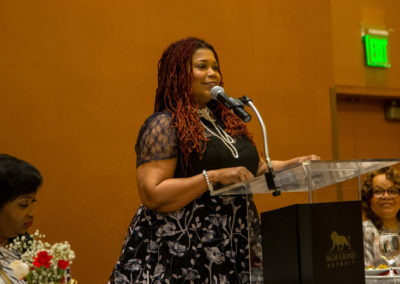 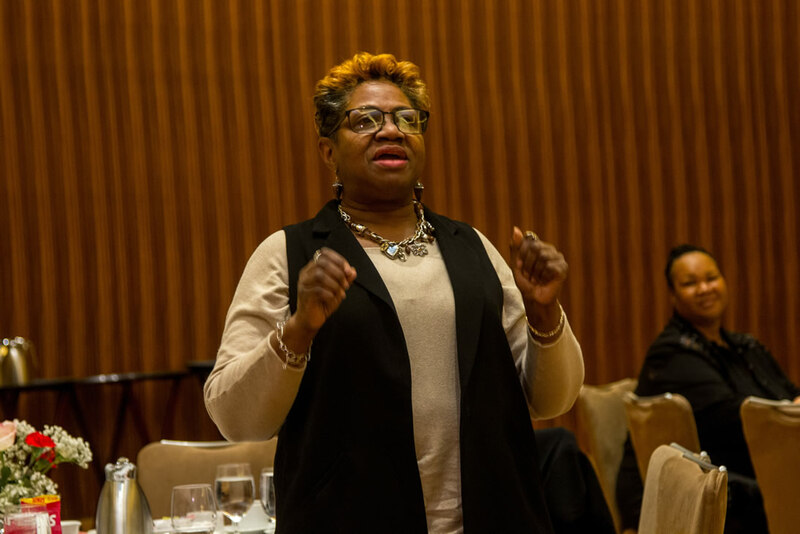 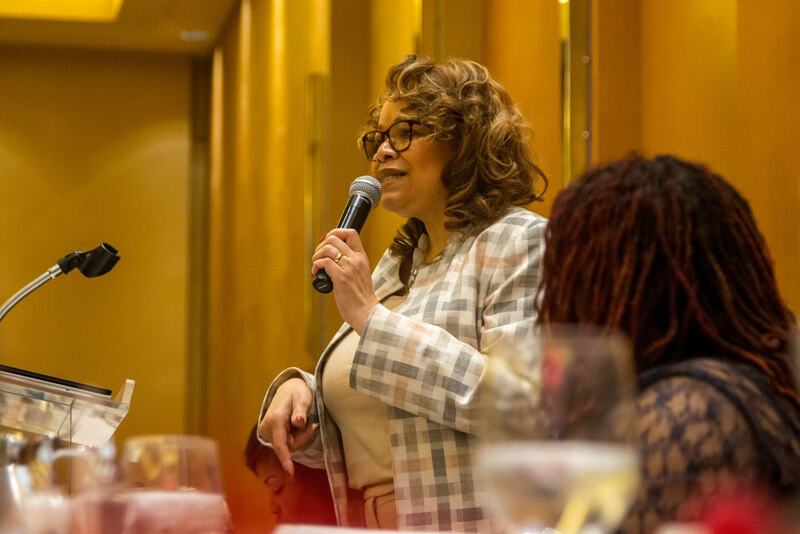 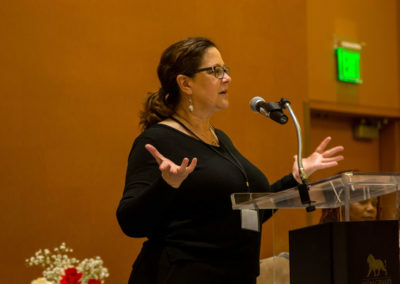 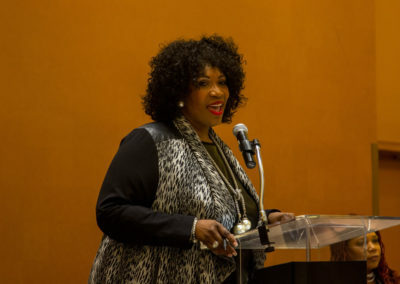 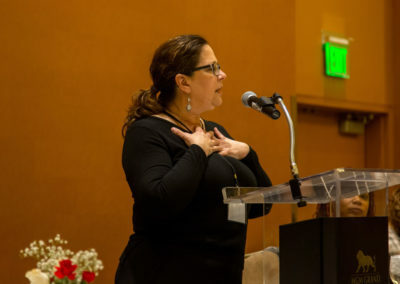 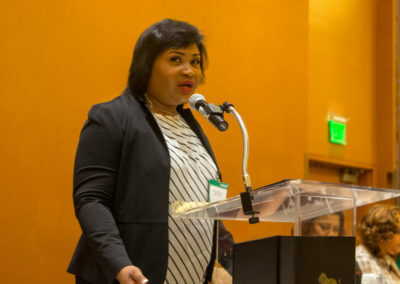 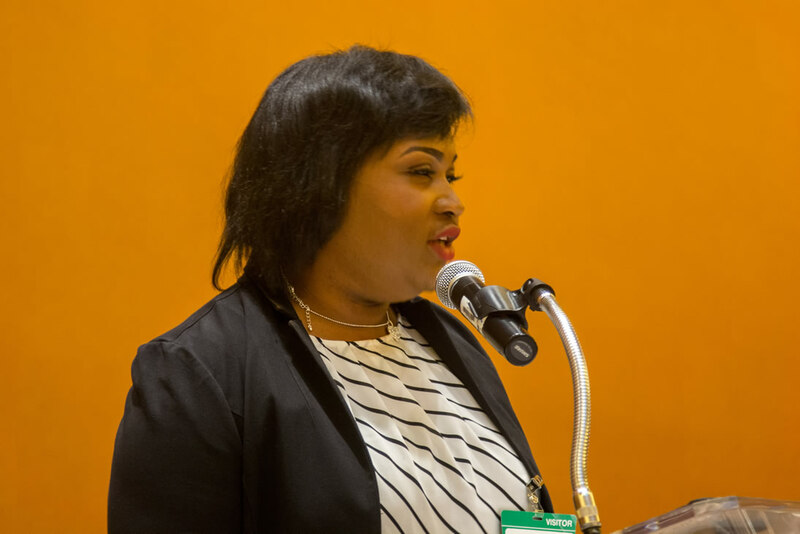 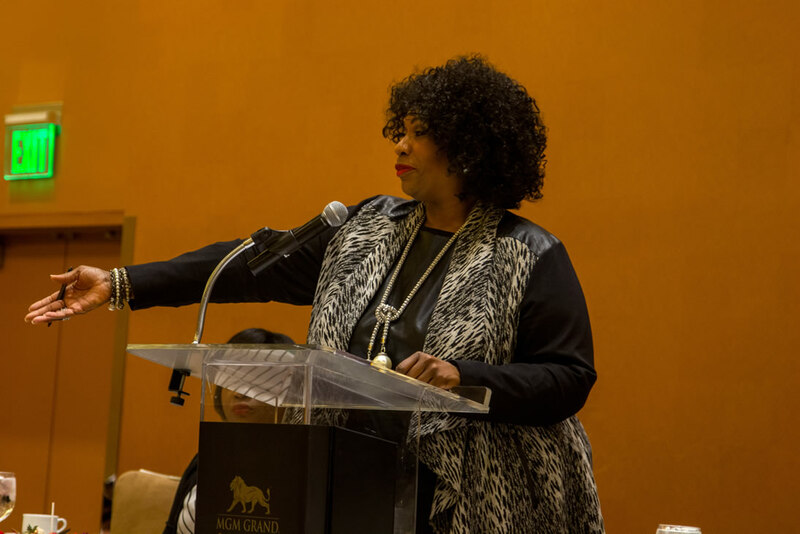 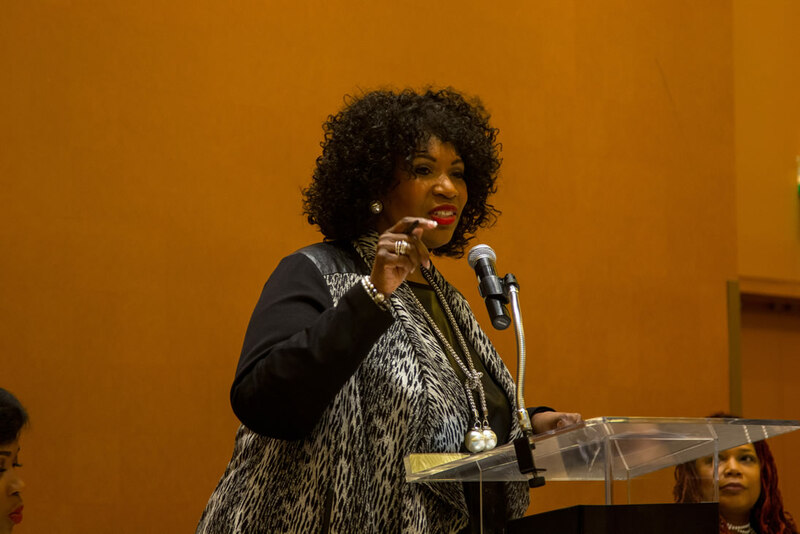 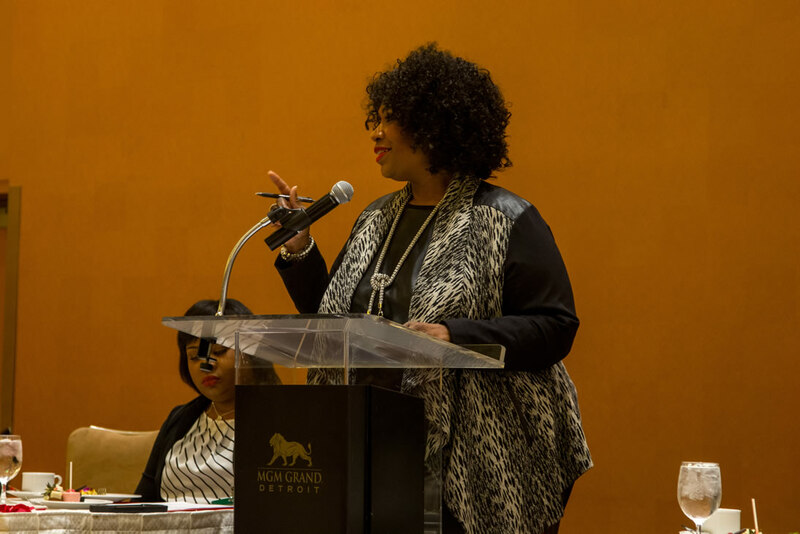 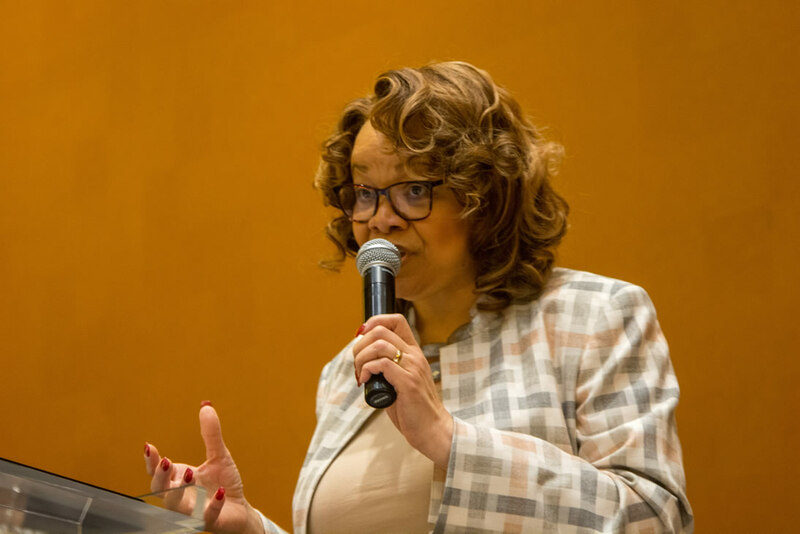 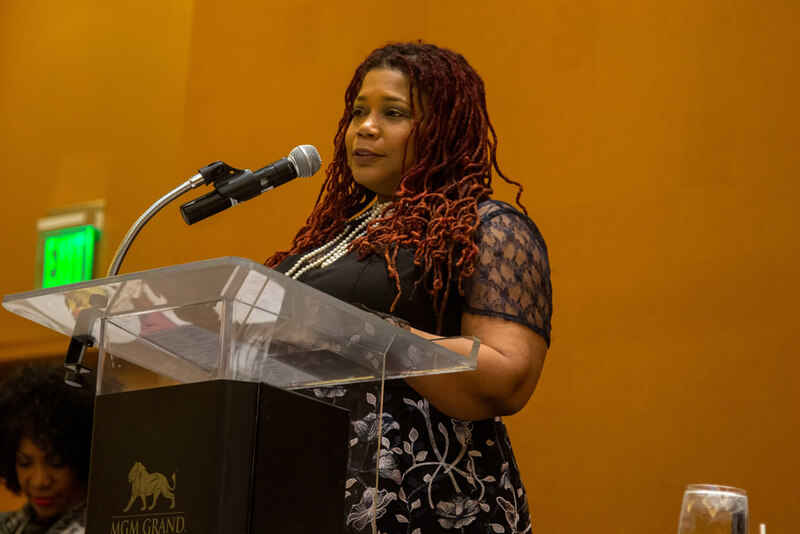 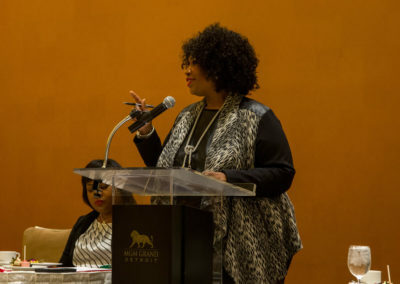 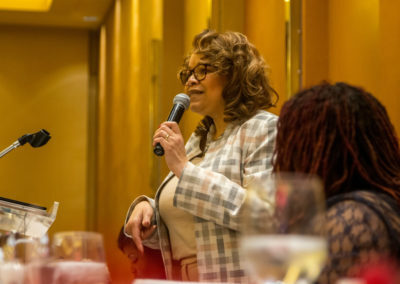 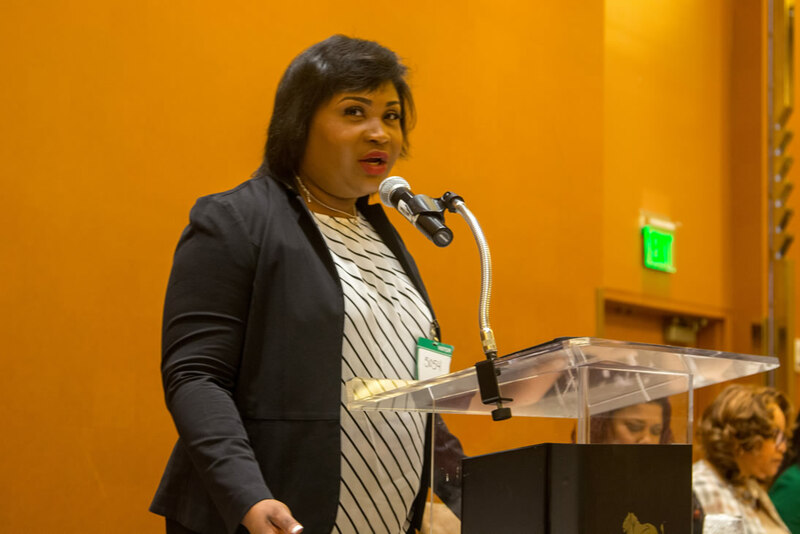 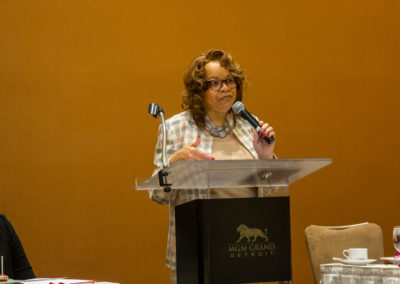 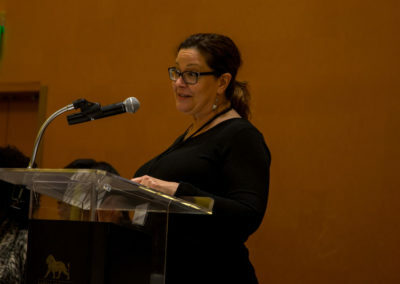 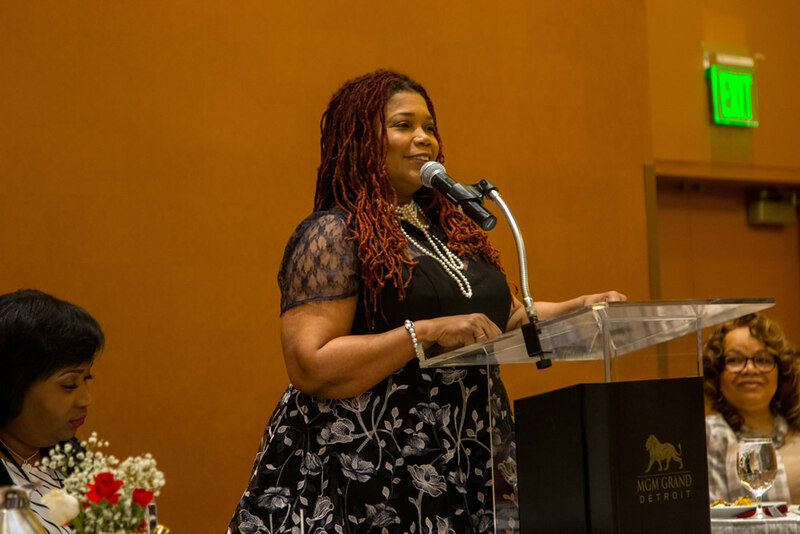 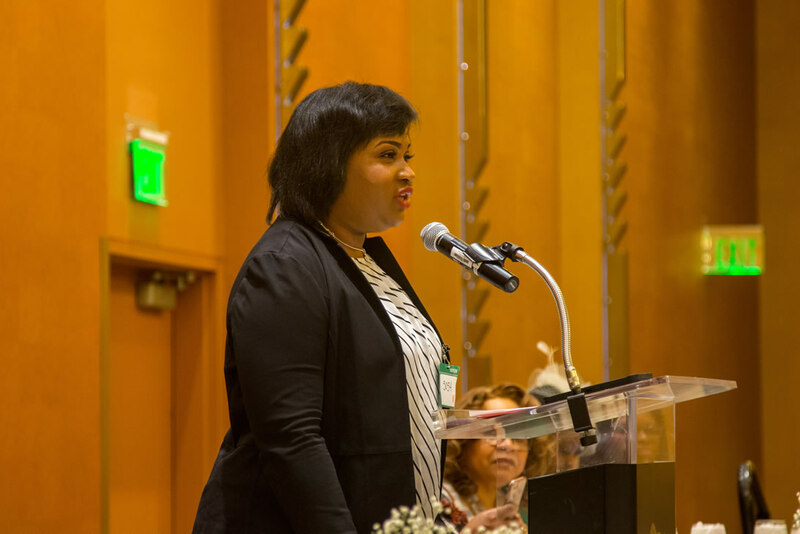 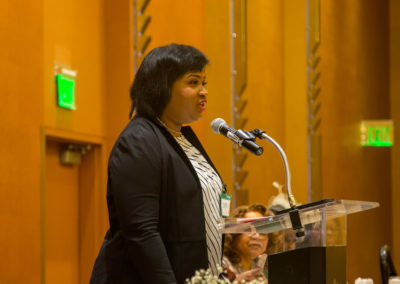 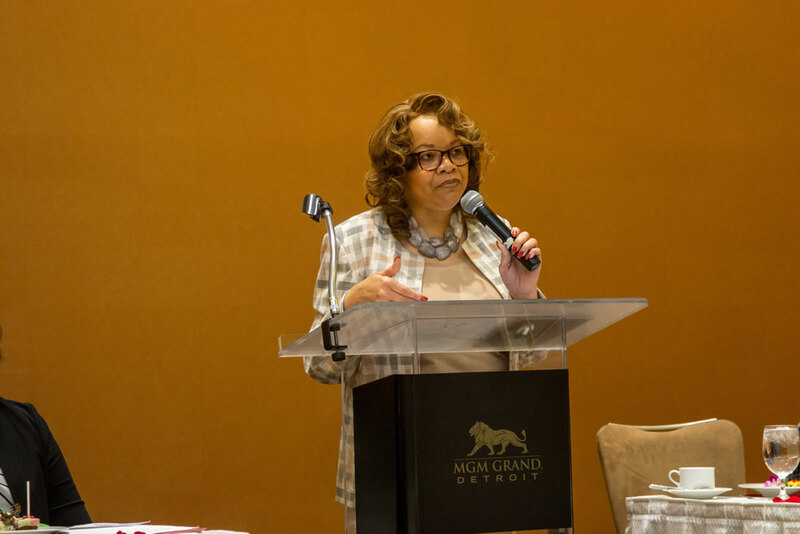 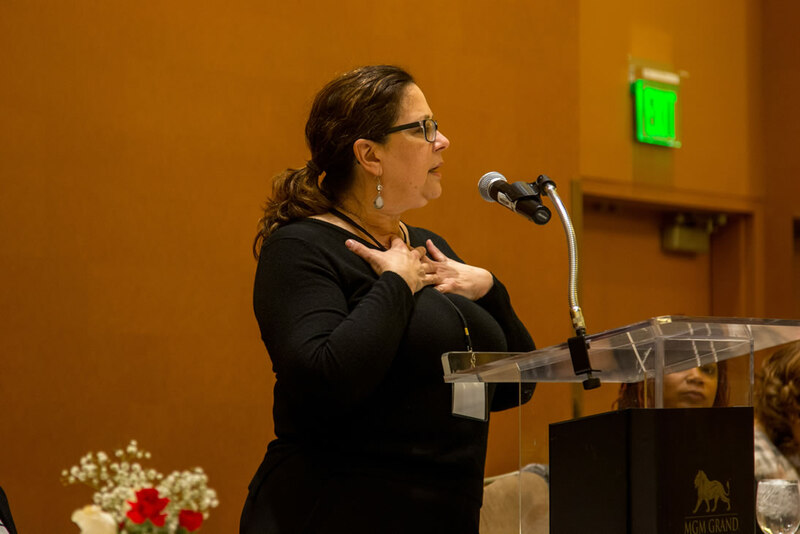 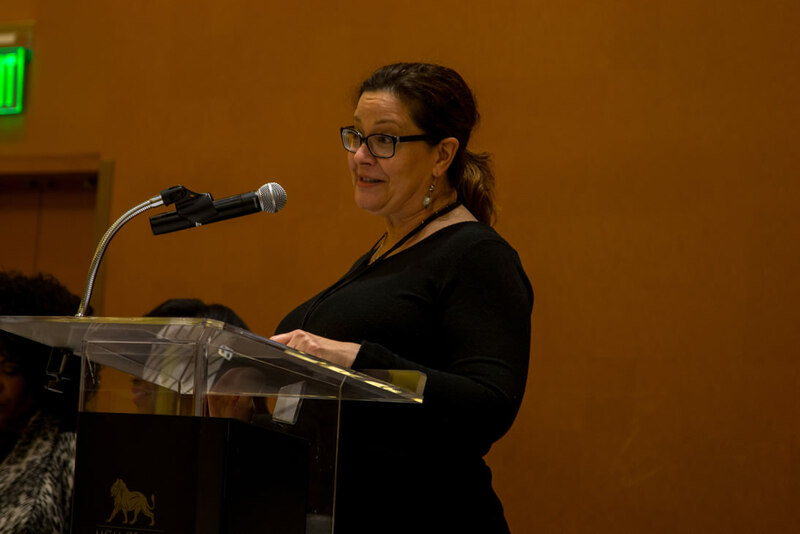 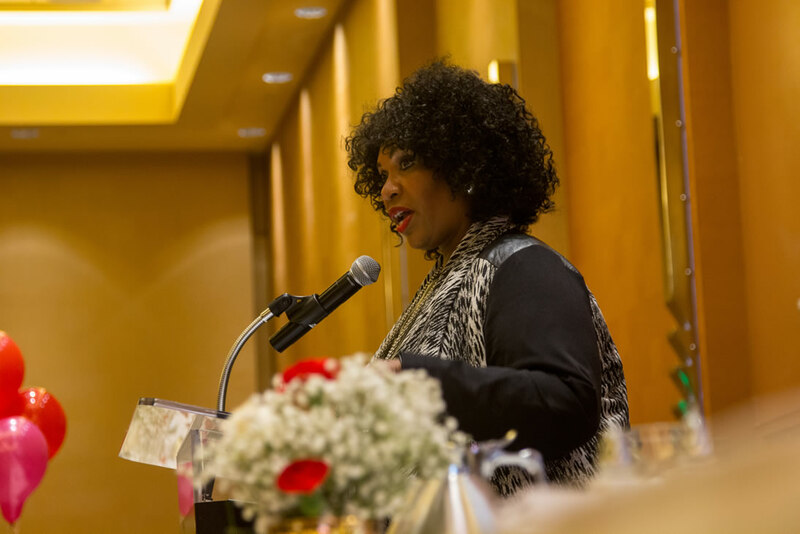 Then our VP of Human Resources at Matrix, Ms. Karen Gray, shared her own story of turning a very personal unfortunate incident into a situation that has since made her fly higher than ever. 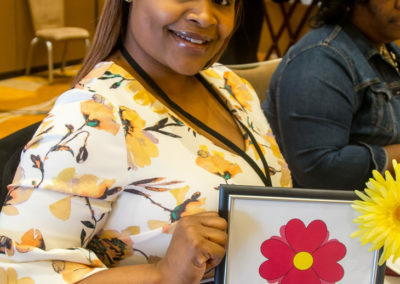 Her key to resilience what not allowing herself to take the fault of other’s actions. 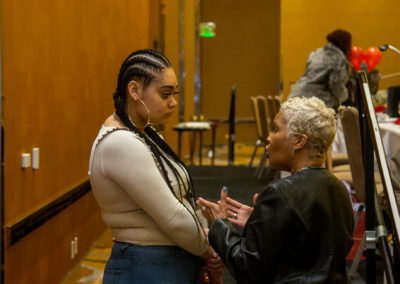 Learning that she was never the blame and that she is a true survivor. 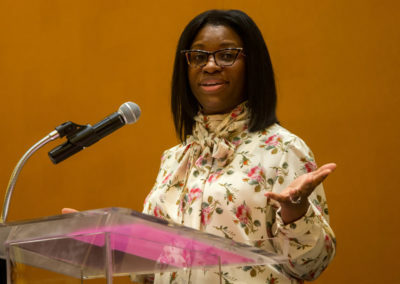 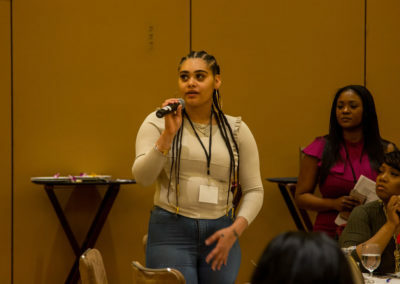 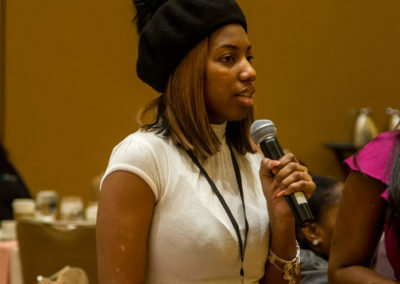 Finally, Nadonya Muslim, Entrepreneur and Assistant Principal for East English Village Preparatory High School, spoke on how she turned being bullied in grade school into choosing a profession that protects other children and then finding her passion in creating her own lip gloss line that has garnered her much success. We would like to thank all of the women panelists in addition to our exceptional role model hosts including: Katrina Frazier, Gwendolyn D. Bush-Farrell, Karen Newman, Raquel Martin-Wade, Lisa Howze, Linda Jackson, Jeri Beasley, Earnetta Williams, Marivel Ibarra, Jessica Byrd, Laura Castone, Portia Powell, Christie Laster, Stephanie Pride, Dr. Tina Pickett, Blessing Adesiyan, Lois Elizabeth Bingham, Tracey Robinson, and Rashida Williams.